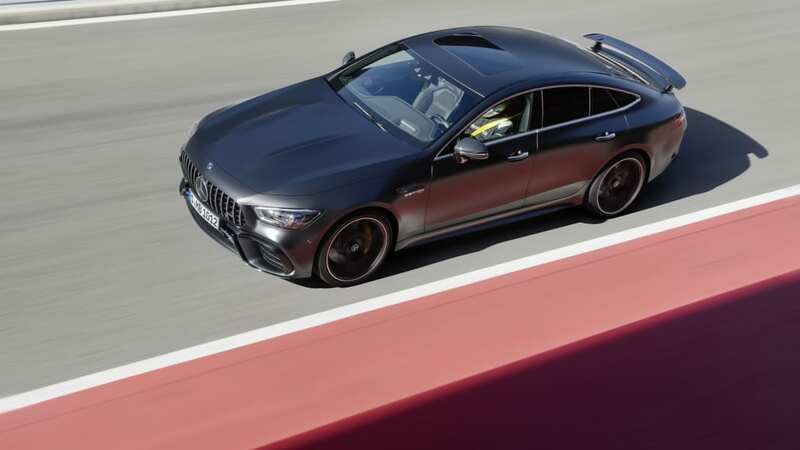 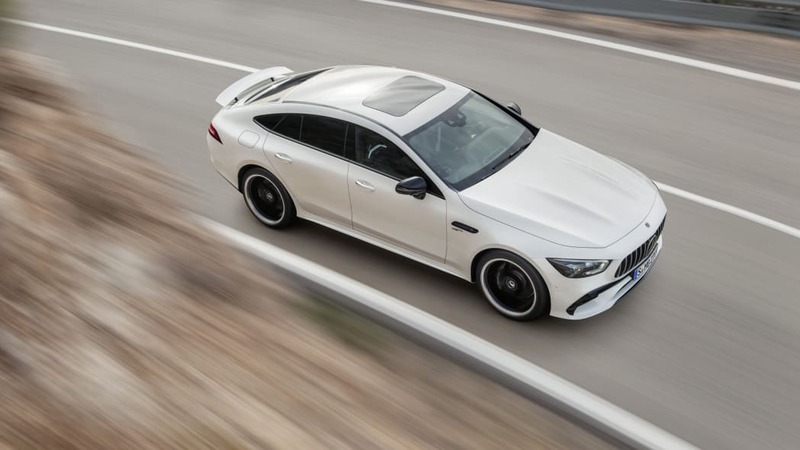 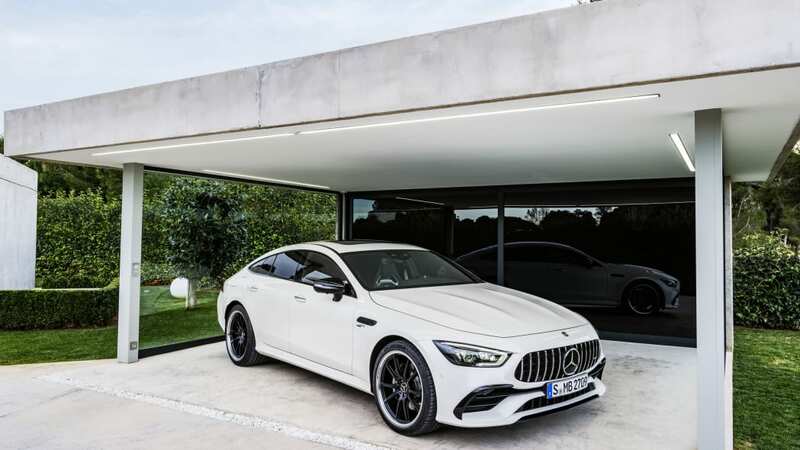 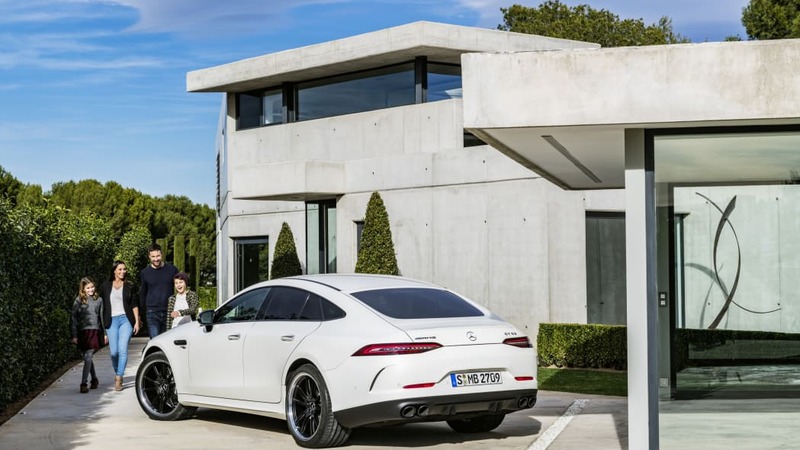 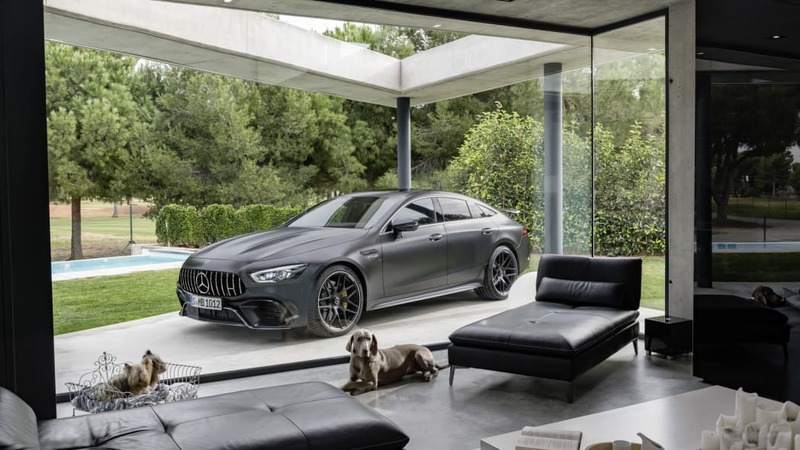 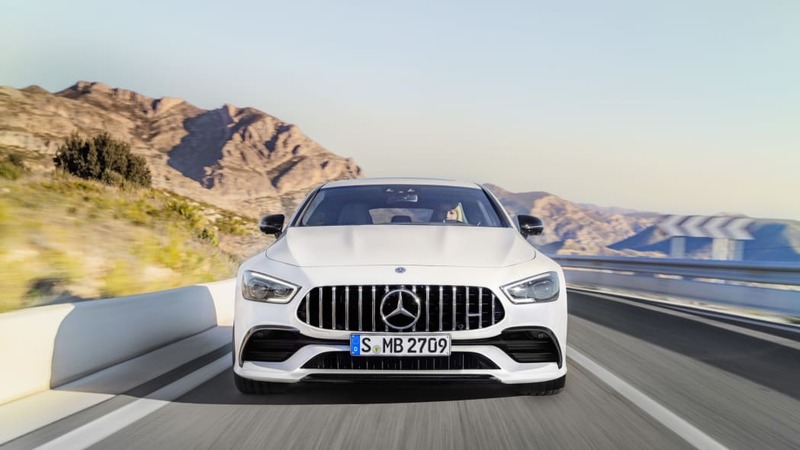 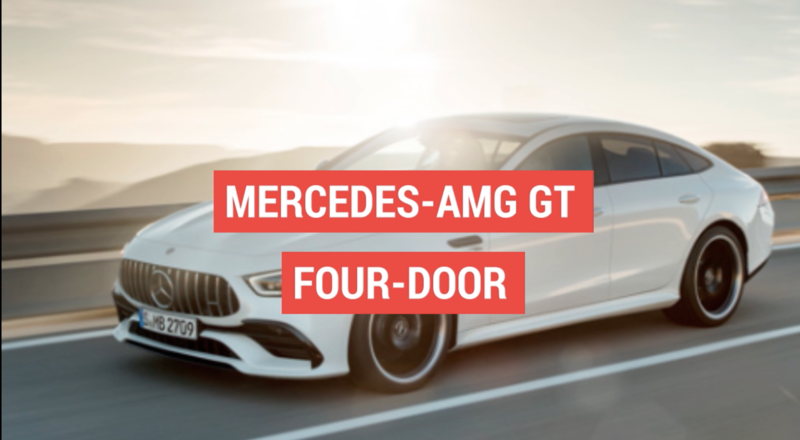 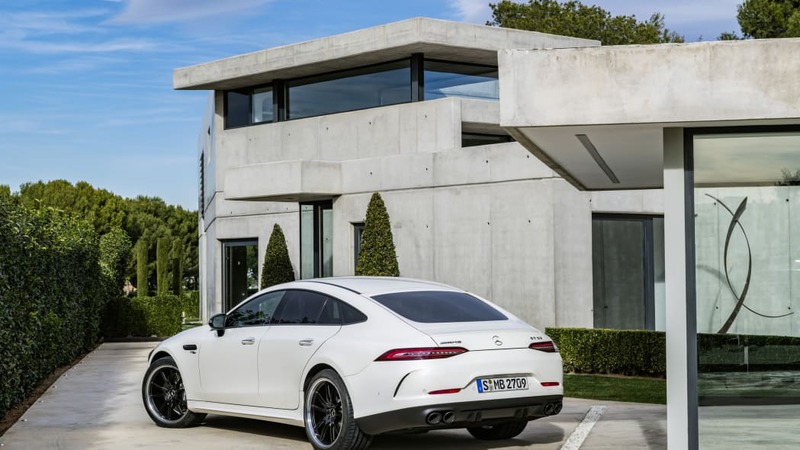 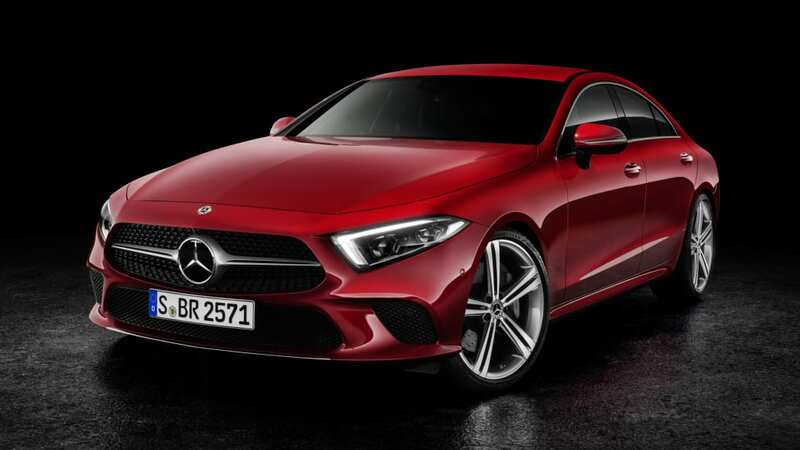 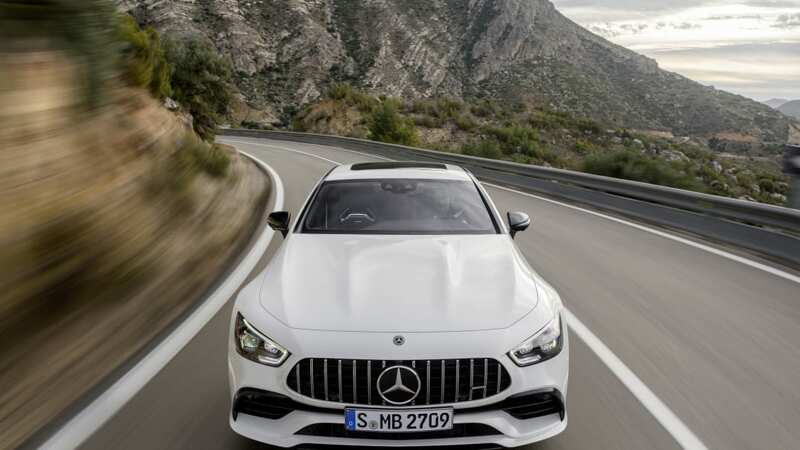 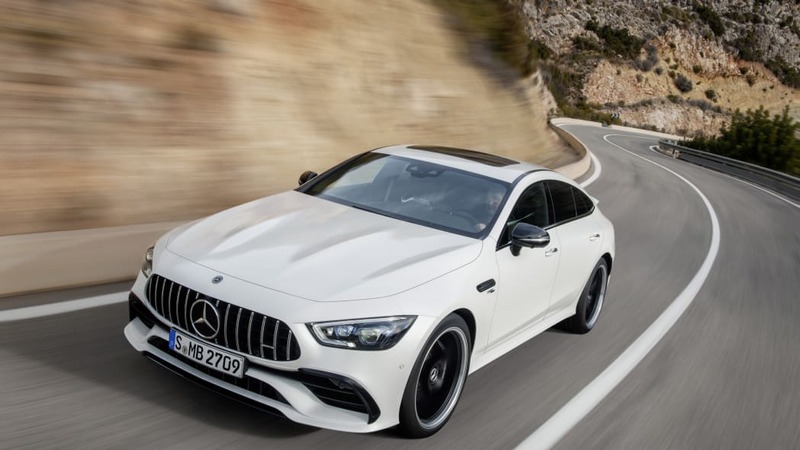 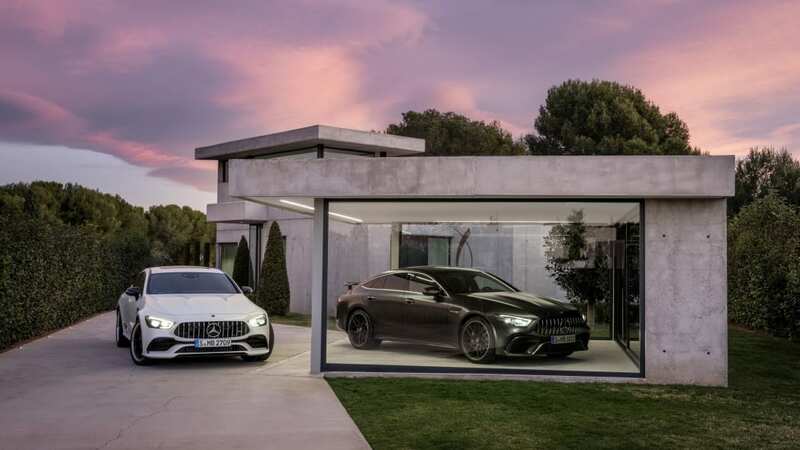 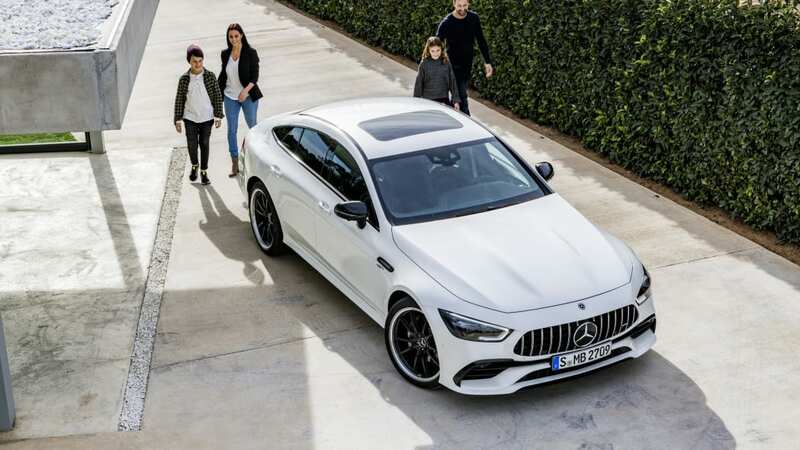 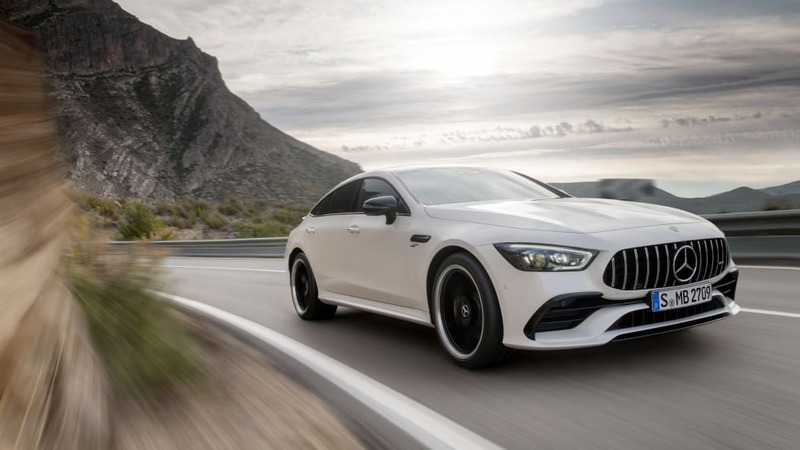 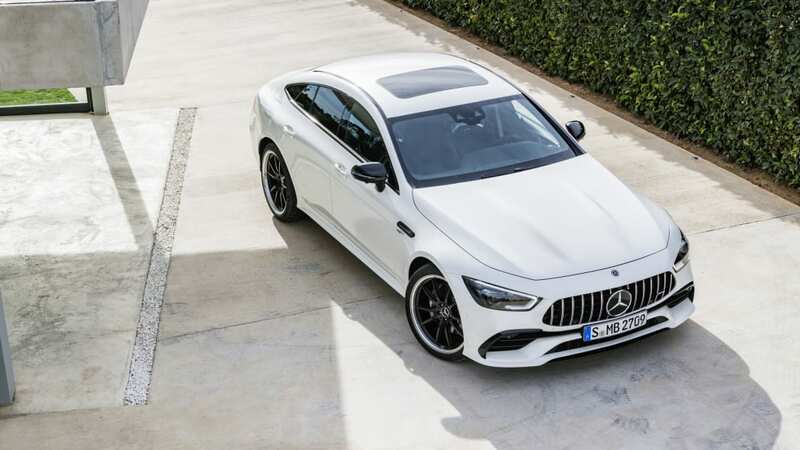 Mercedes-AMG GT 4-Door Coupe vs. Mercedes-Benz CLS: How are they different? 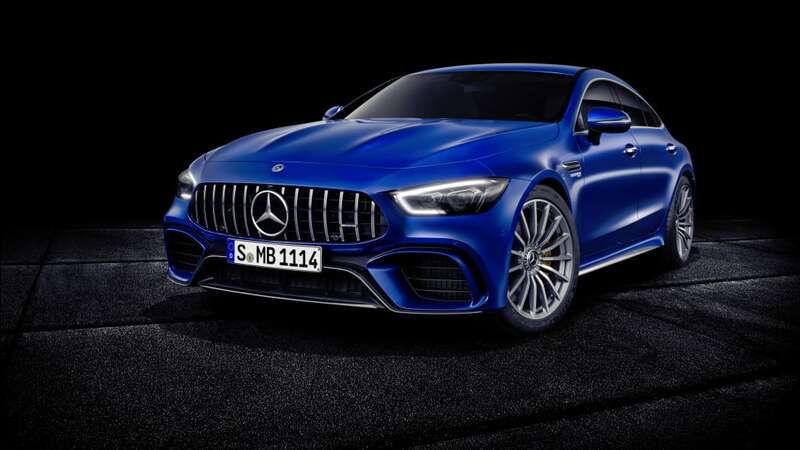 The Mercedes-AMG GT 4-door Coupe is finally here, the long-awaited family-sized version of the Mercedes-AMG GT. 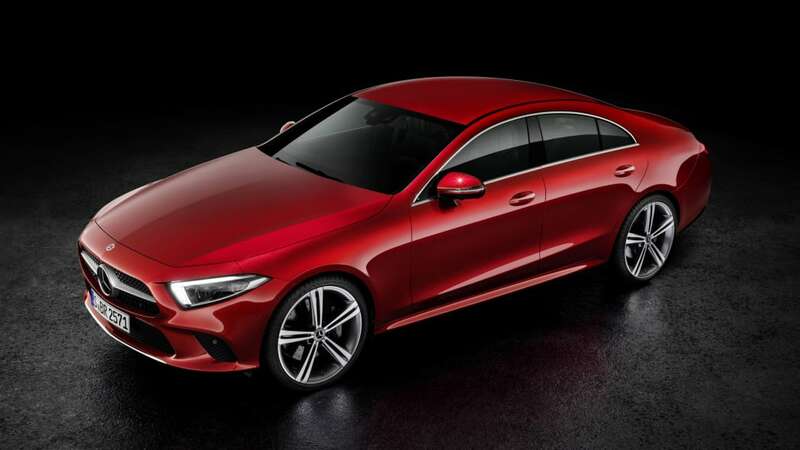 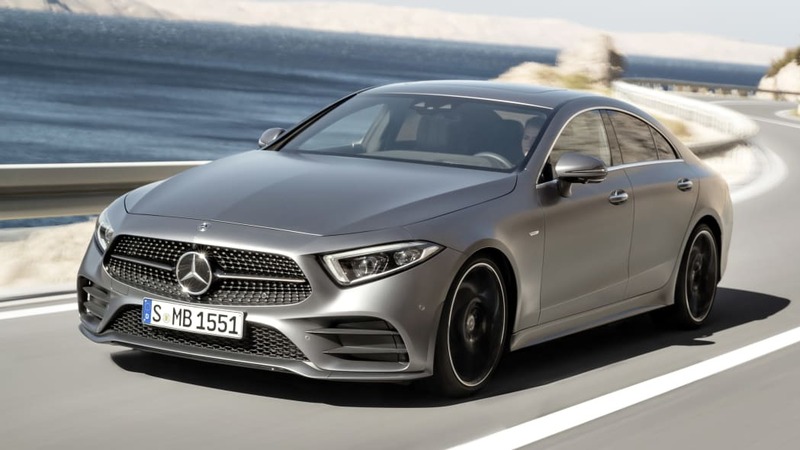 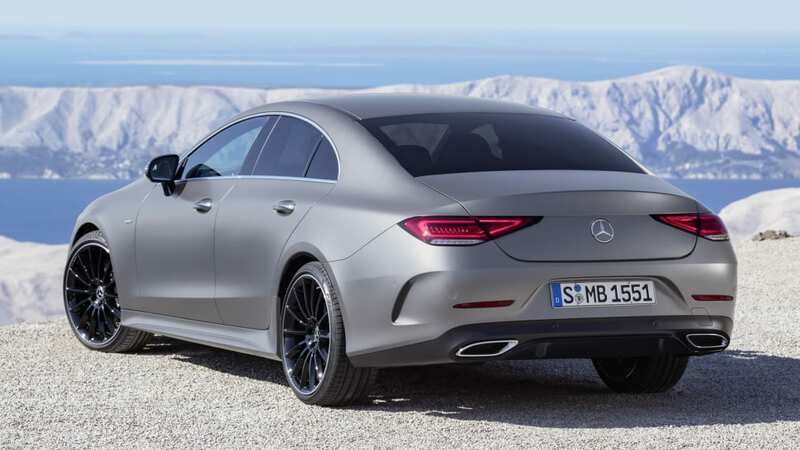 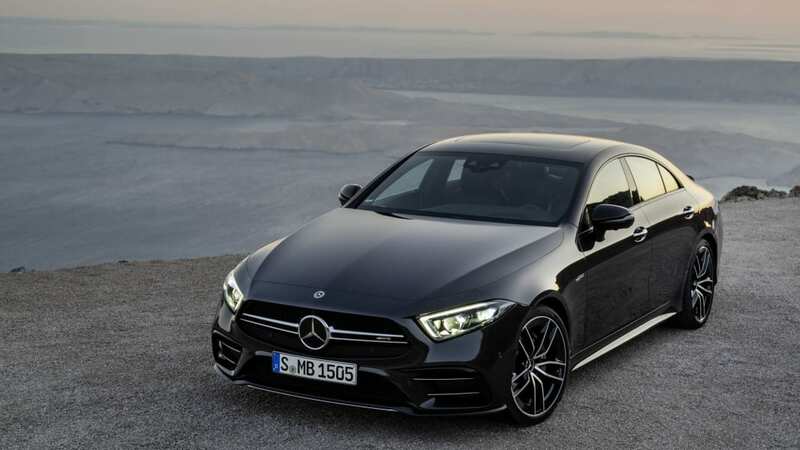 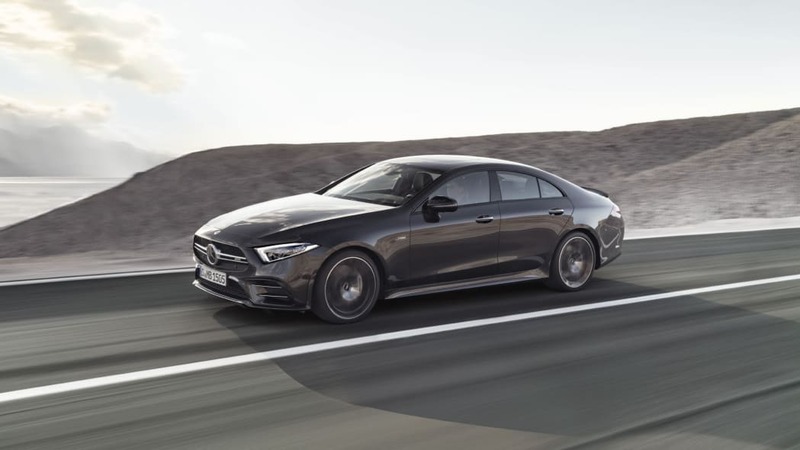 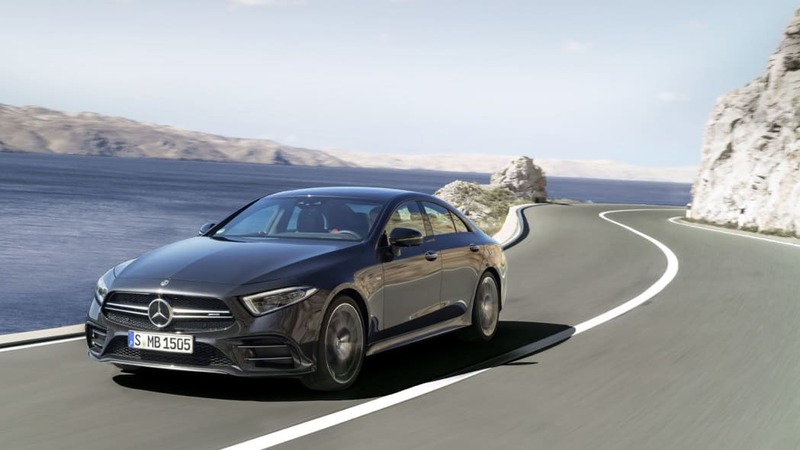 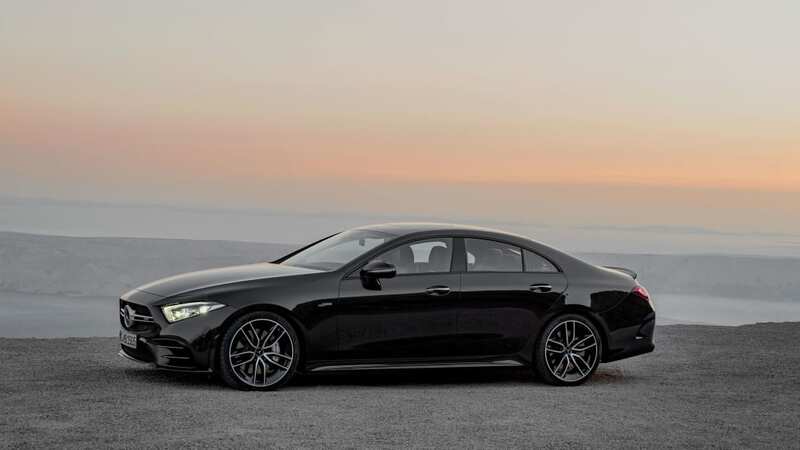 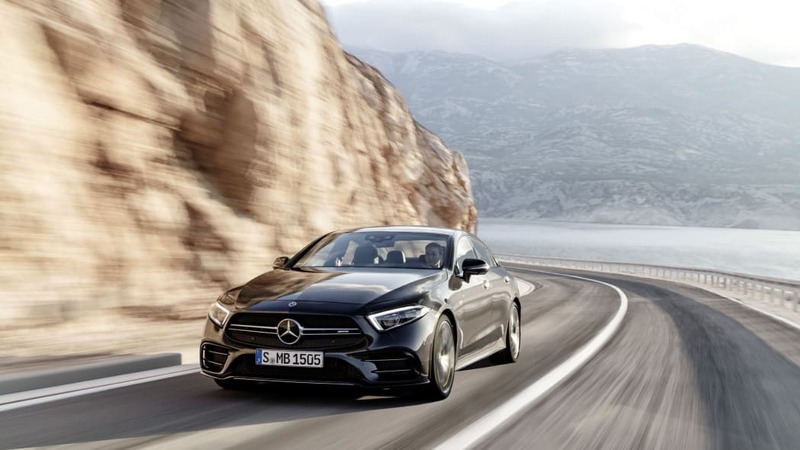 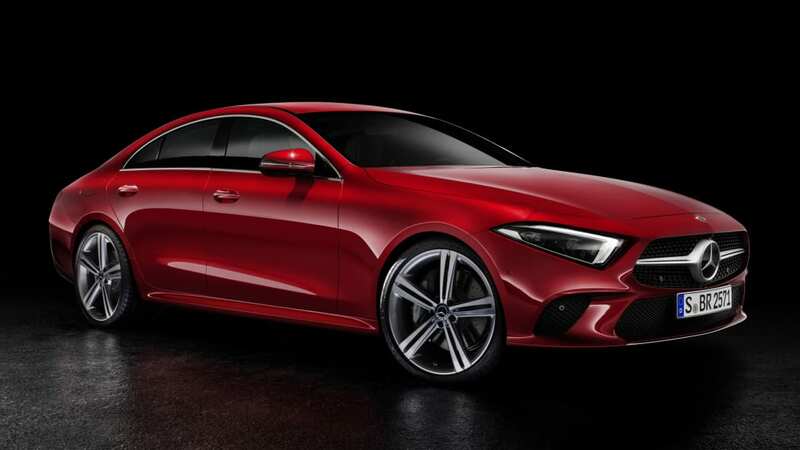 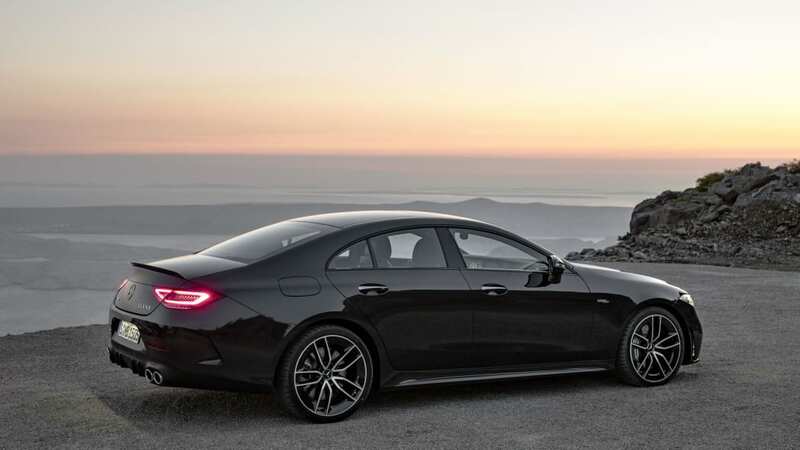 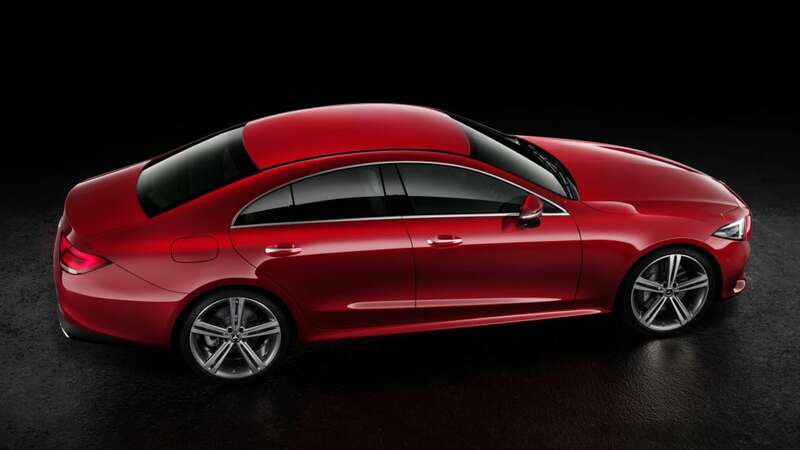 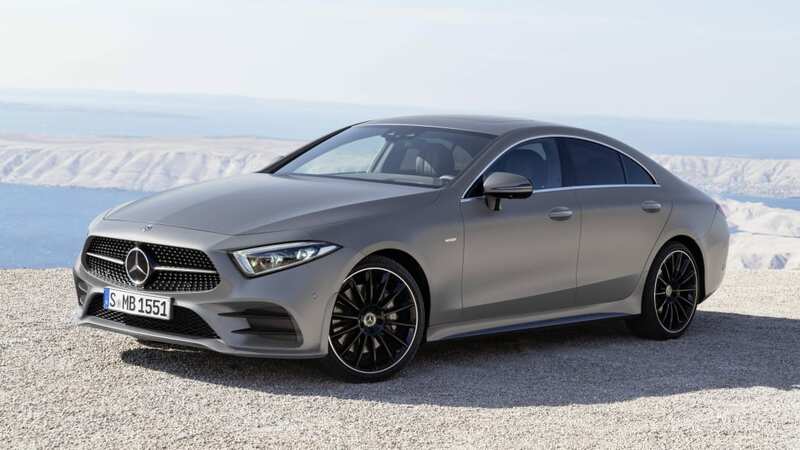 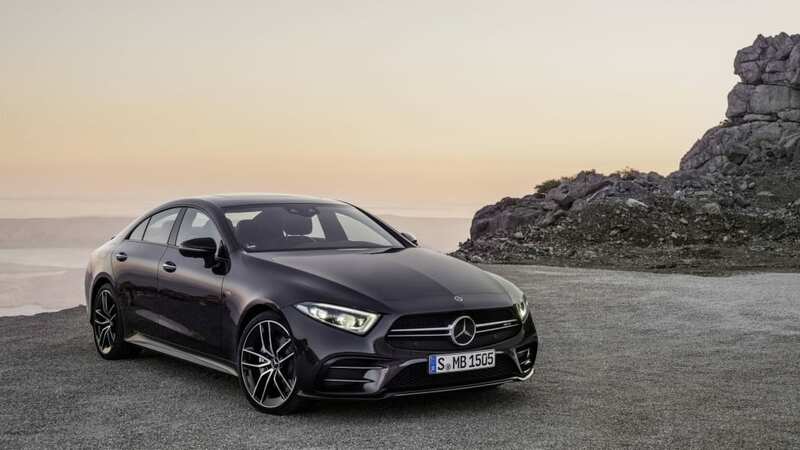 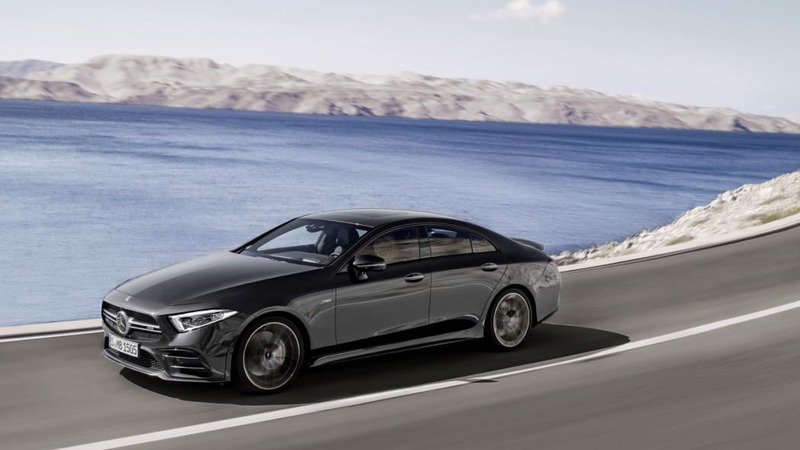 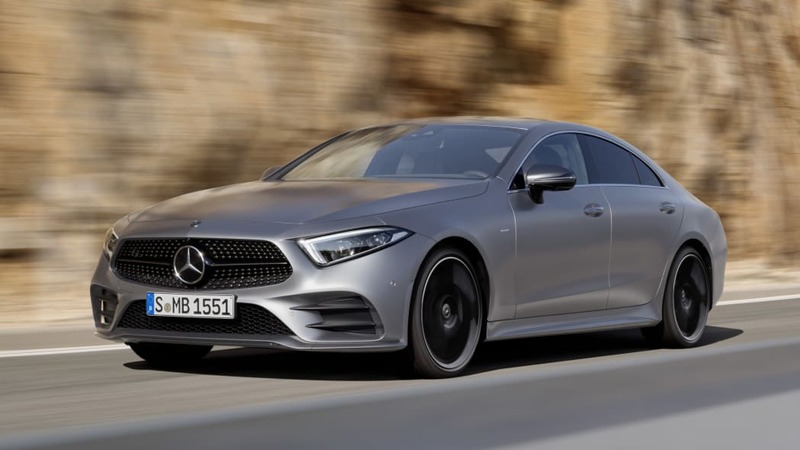 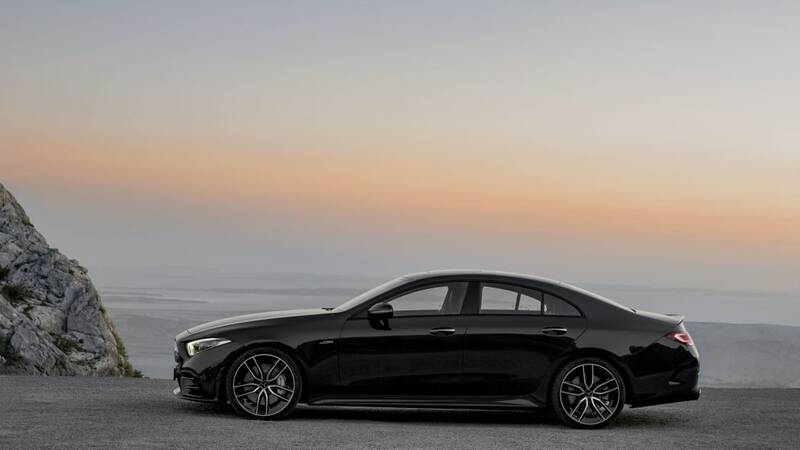 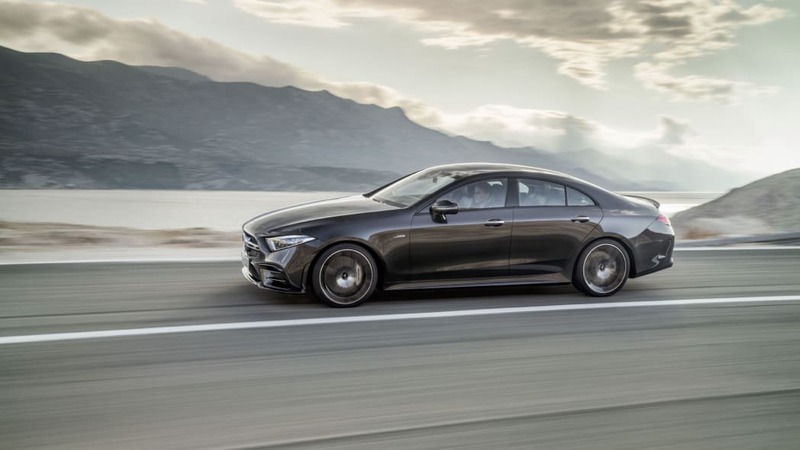 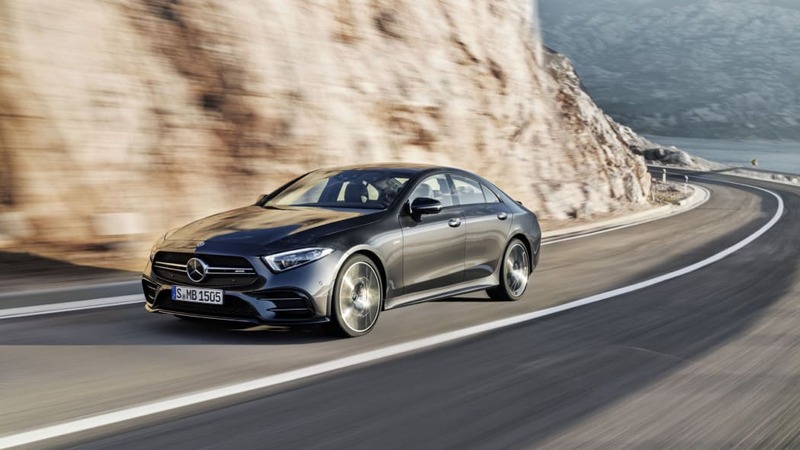 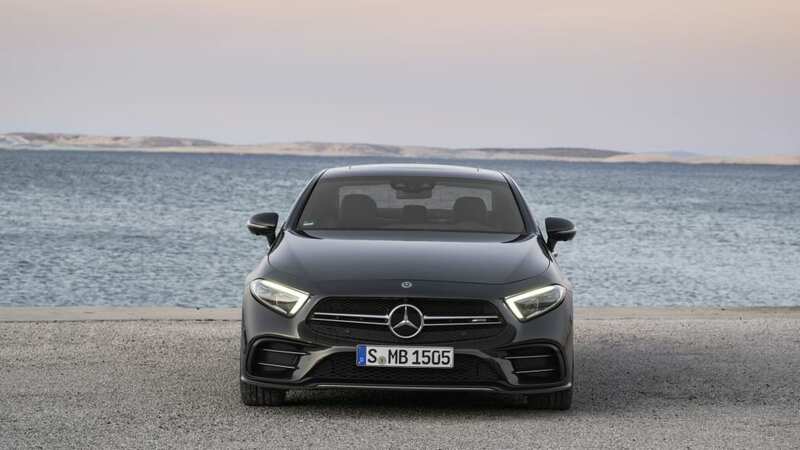 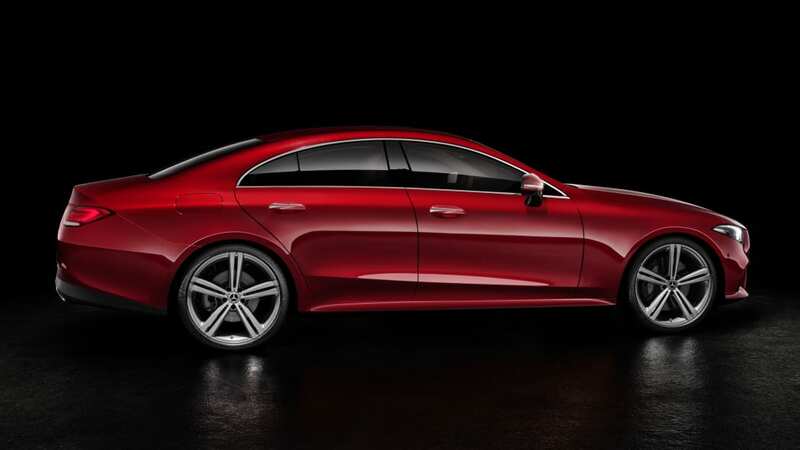 Though, you might be wondering how it fits into the Mercedes lineup when there's already a four-door "coupe," the CLS-Class, that invented the concept in the first place. 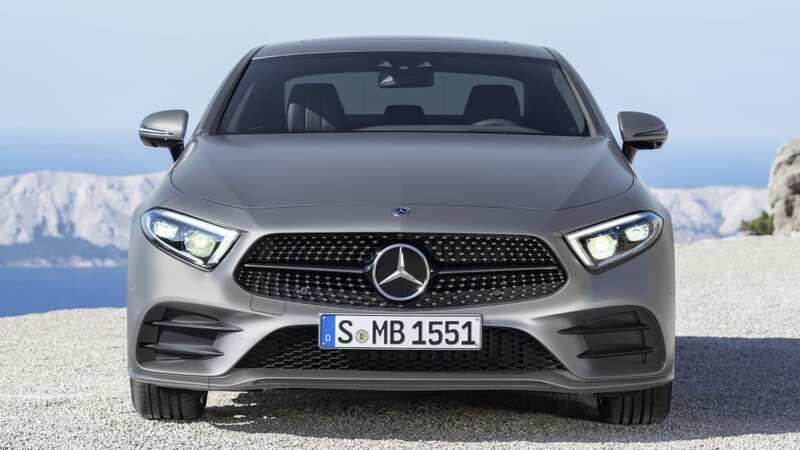 Though we don't have all the detailed specifications, eyeball measurements have the GT at about the same size as the CLS. 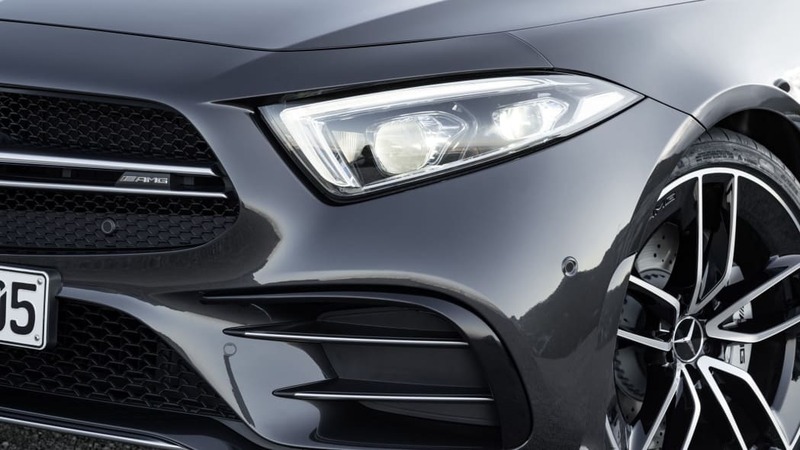 As such, we thought we'd do a little dive into the two models and see how similar, or different, they really are. 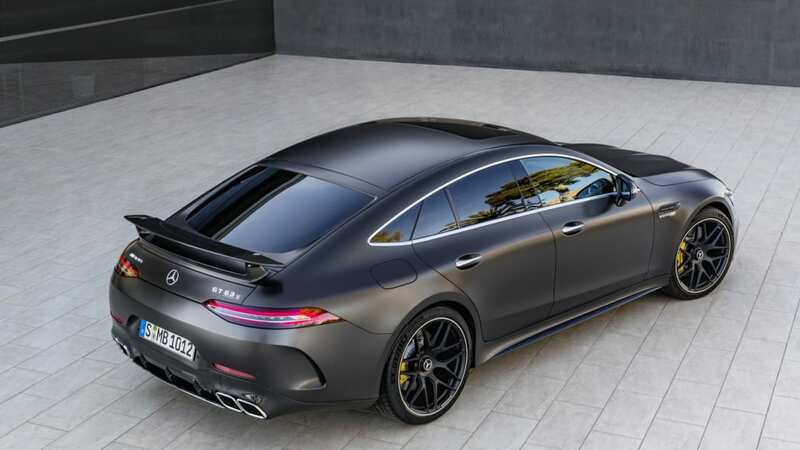 The reason this type of car exists is all about looks. 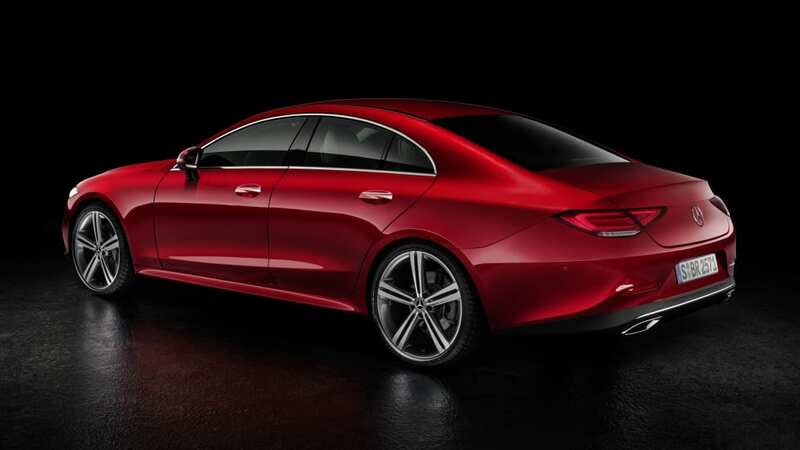 Otherwise, the only midsize sedan Mercedes would be offering would be the E-Class. 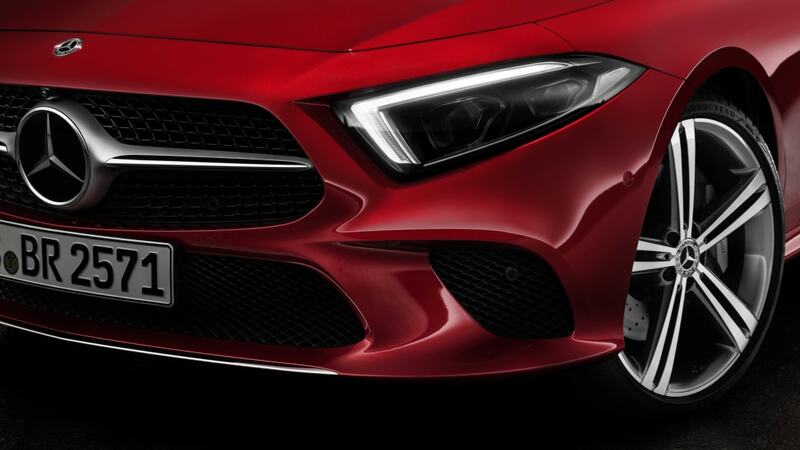 So that's where we'll start. 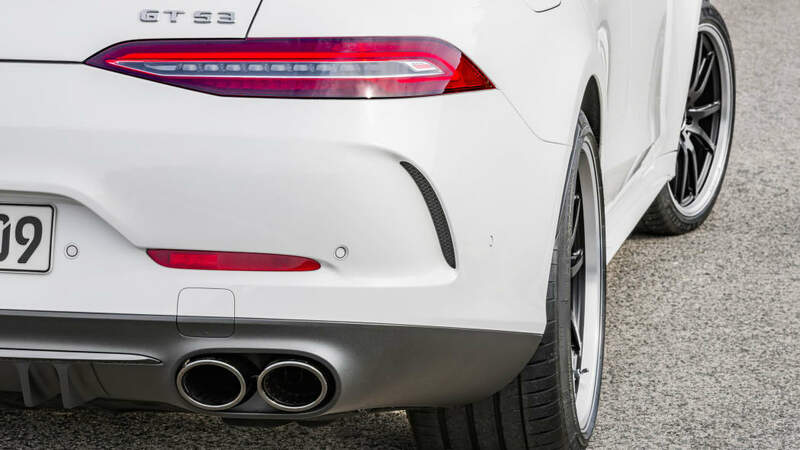 In the similarities column, they each have similarly shaped grilles, and the rear fascias are surprisingly alike with fairly flat features. 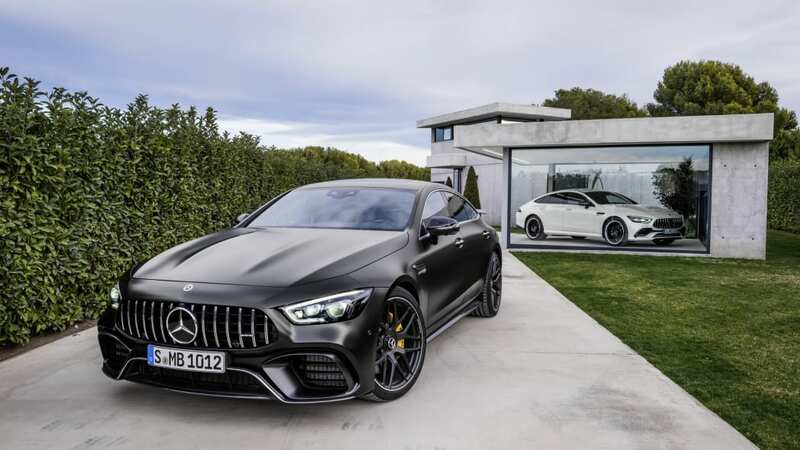 And in the case of the CLS 53 and AMG GT 53, they each have a subdued version of the AMG GT coupe's "dog bone" lower grilles. 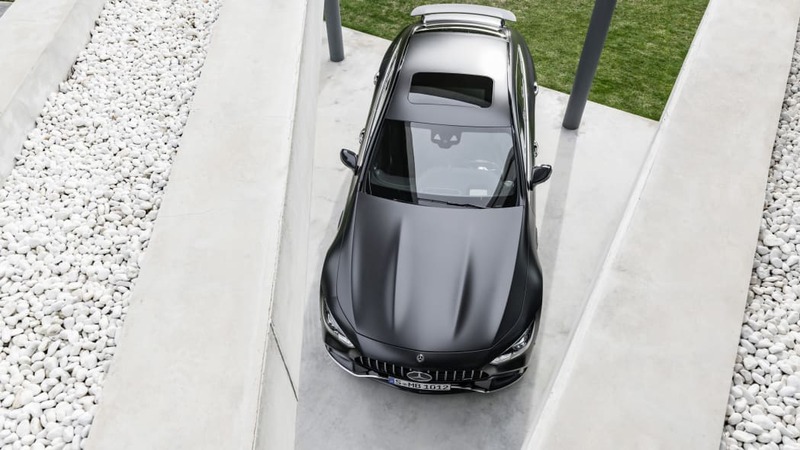 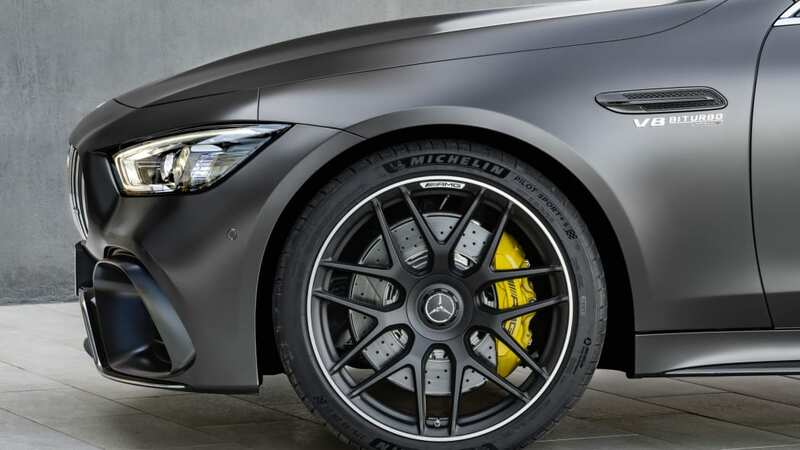 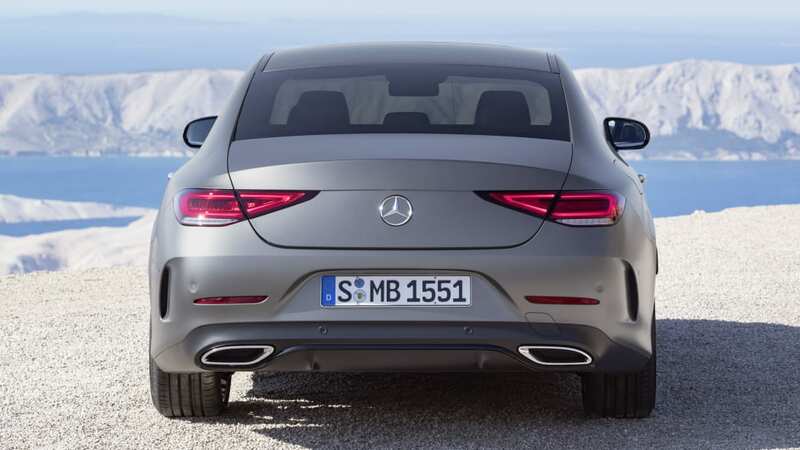 The more powerful AMG GT four-doors get much bigger vents, and the base CLS has a more anonymous lower grille area. 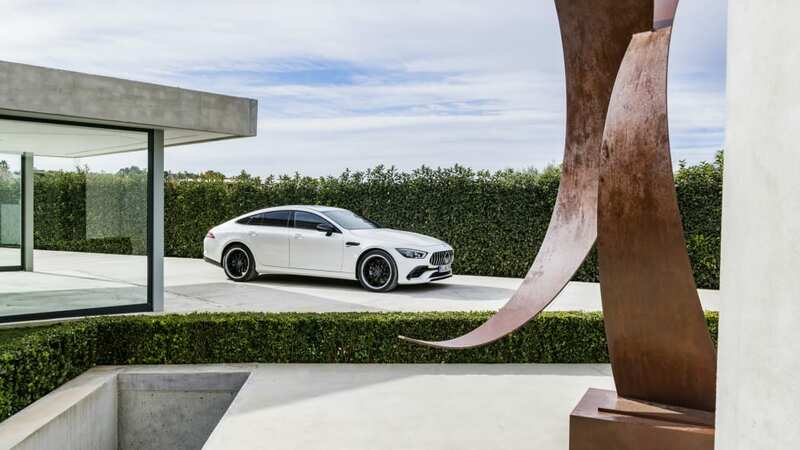 The differences column is a bit larger. 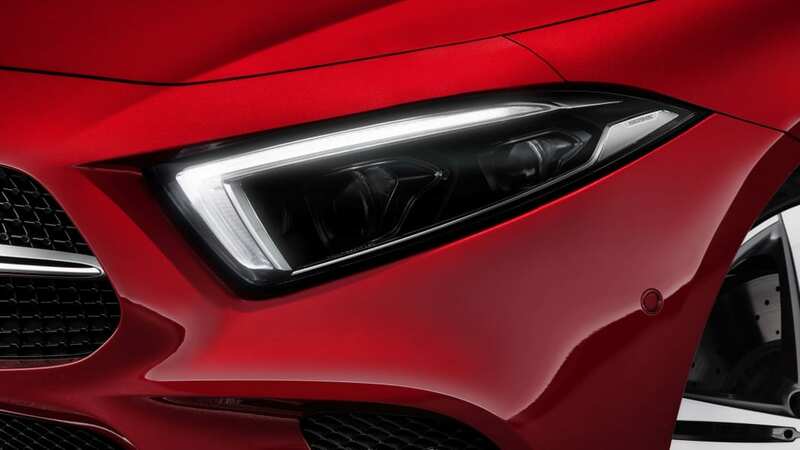 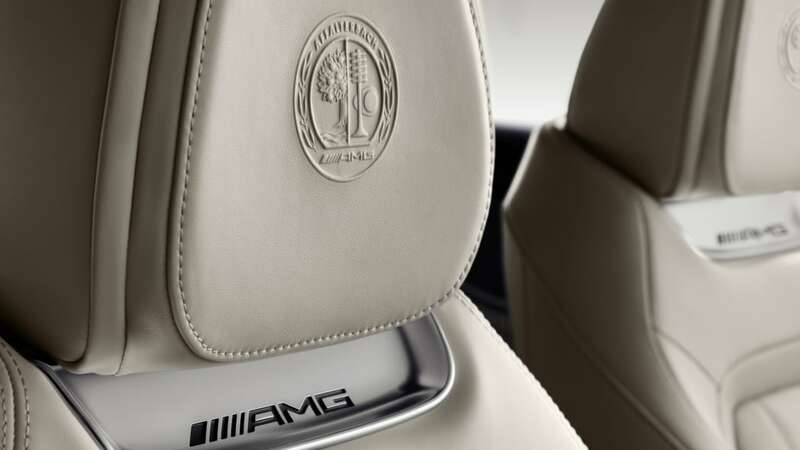 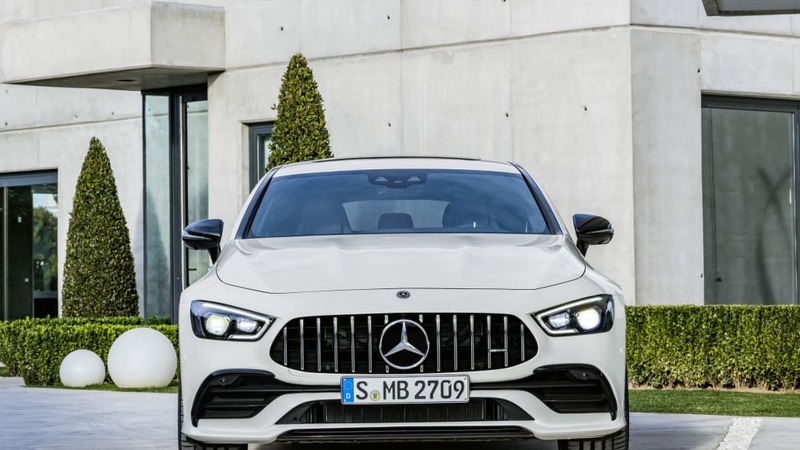 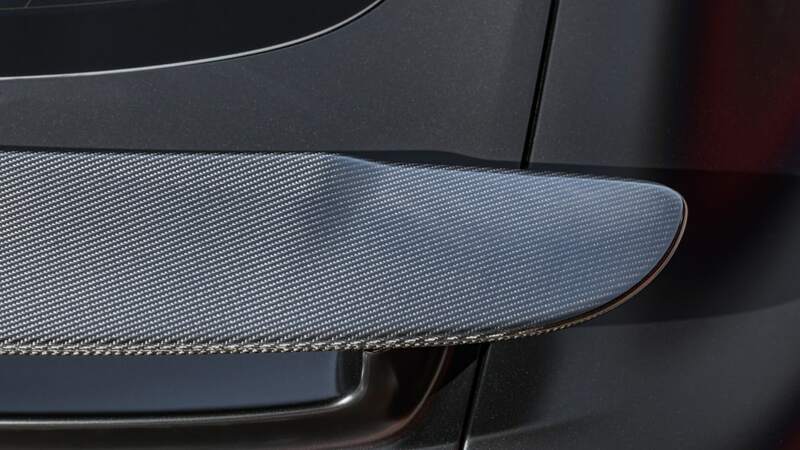 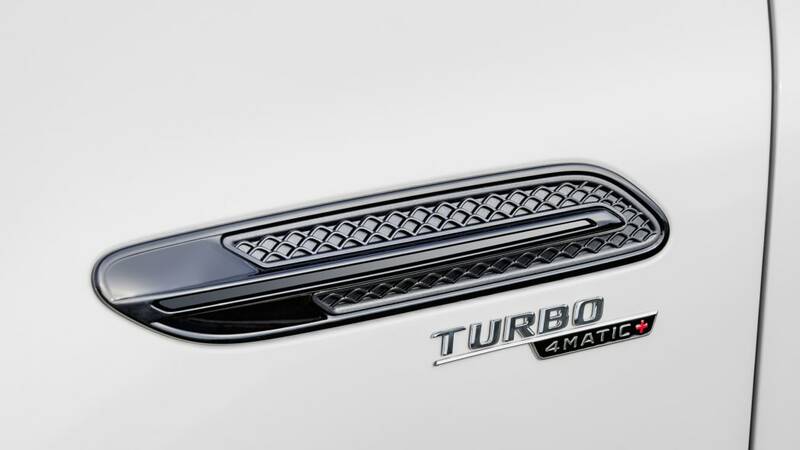 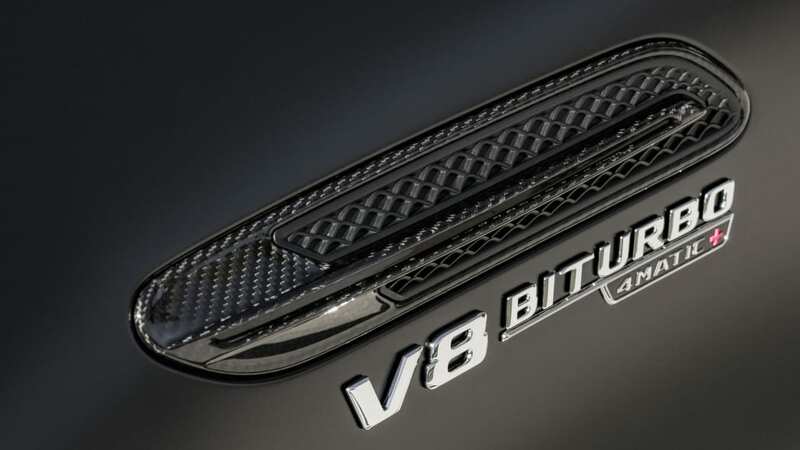 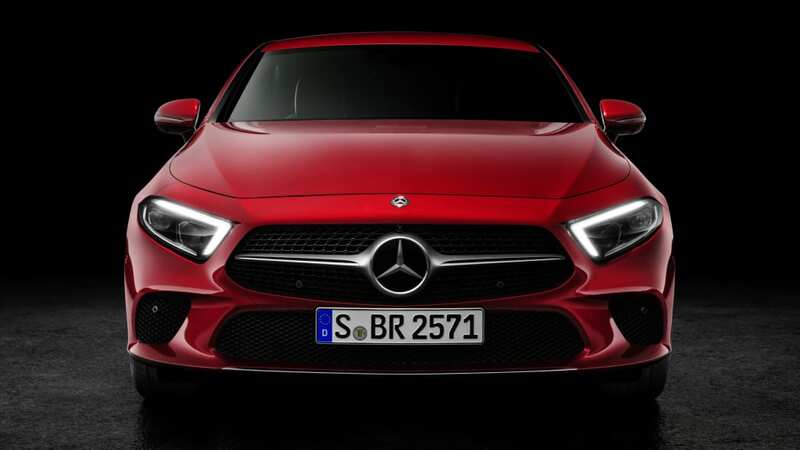 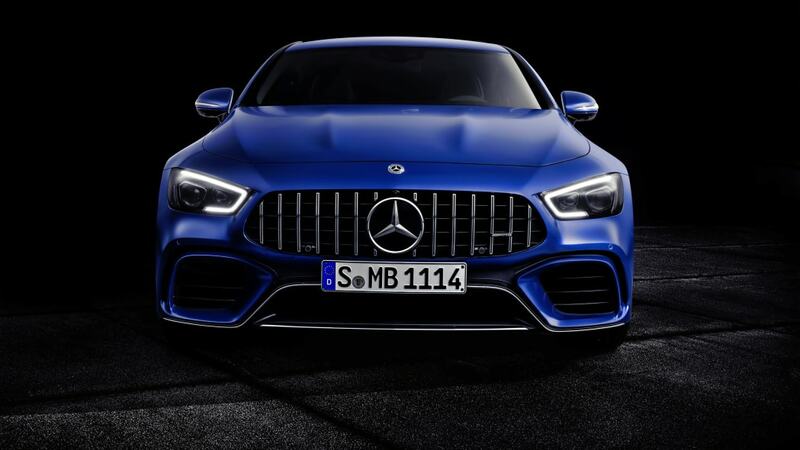 Despite having similar main grille shapes, the AMG GT is distinguished by the vertical bars that are now an AMG trademark (started by the AMG GT R). 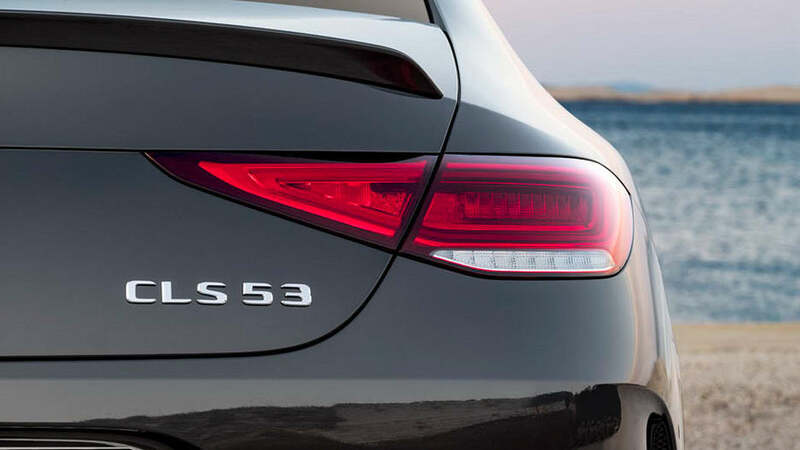 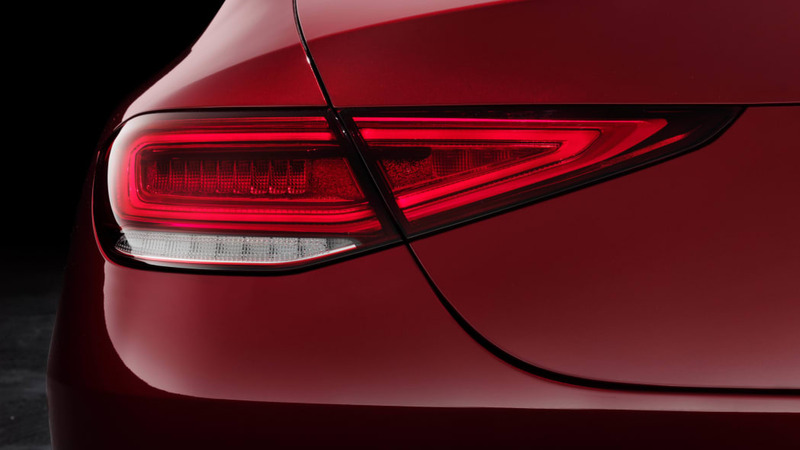 The CLS has just a simple horizontal bar that's solid on the CLS 450 and split on the CLS 53. 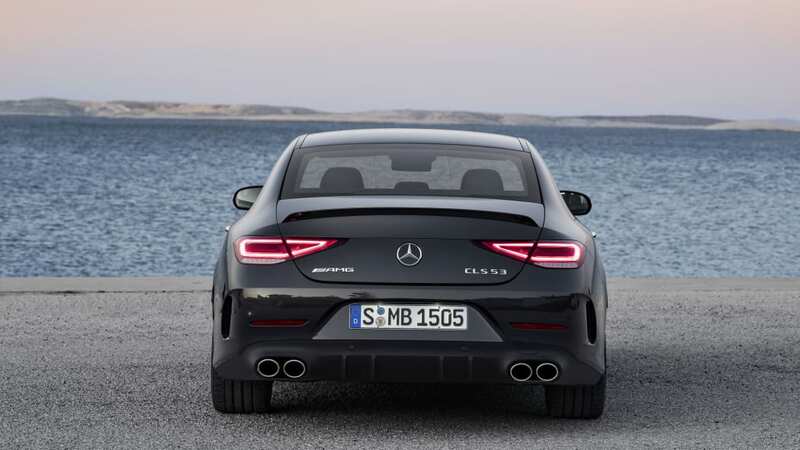 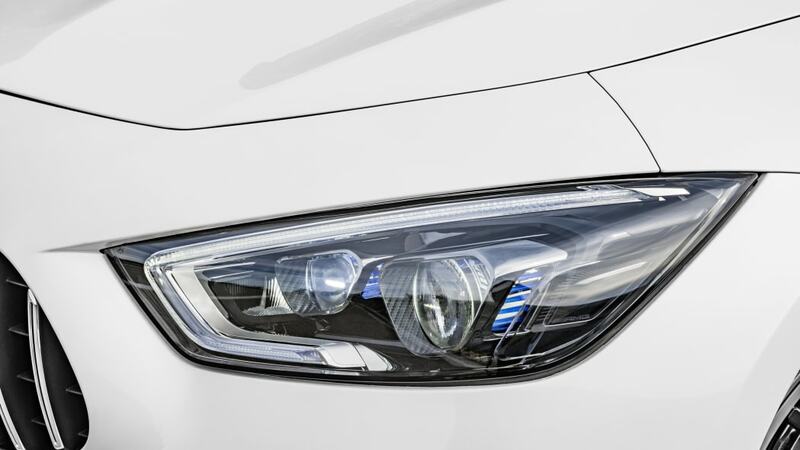 The AMG GT's headlights are lower and more horizontal than the scowling lights on the CLS. 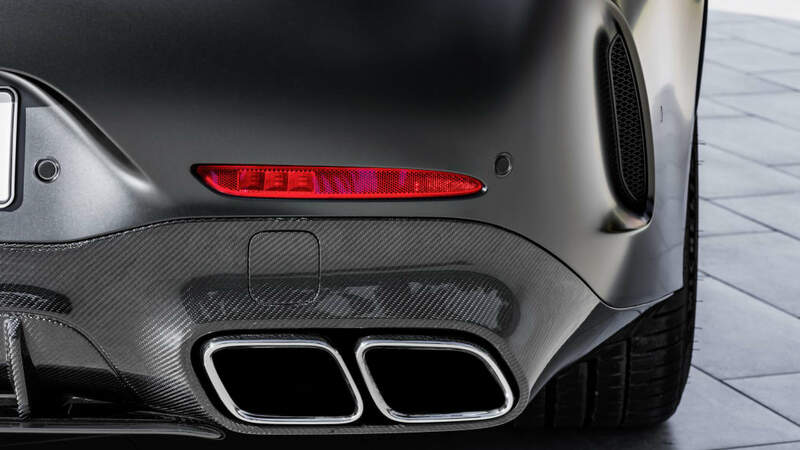 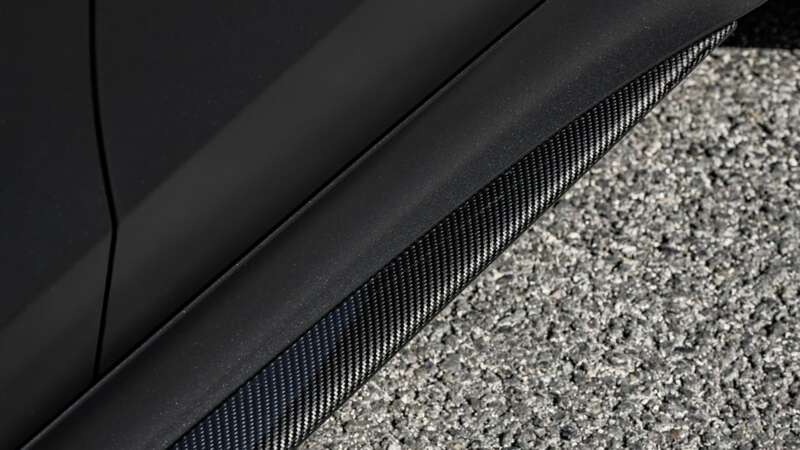 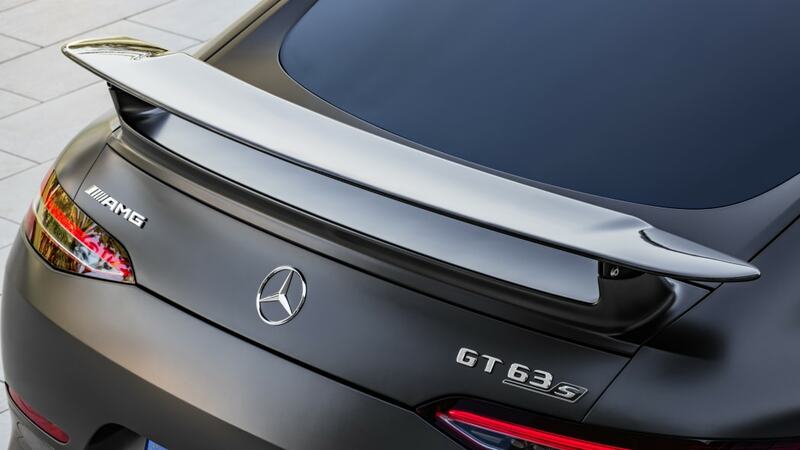 There's more going on in the AMG GT's sheetmetal, too. 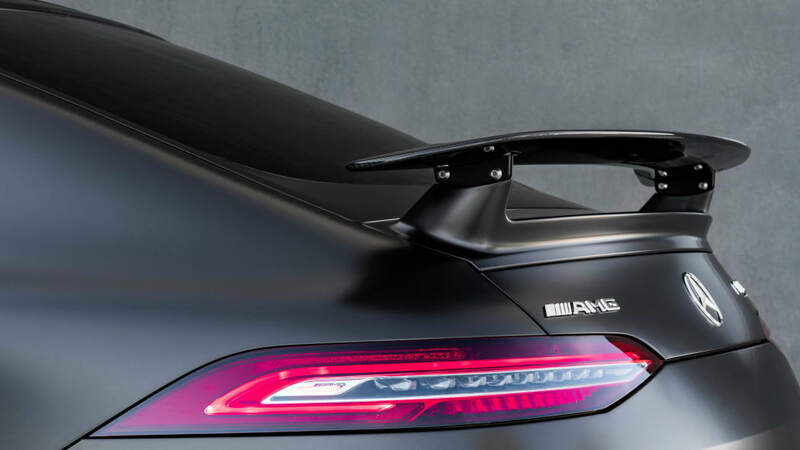 The hood has a pair of prominent bulges similar to those on the SL 300 Gullwing. 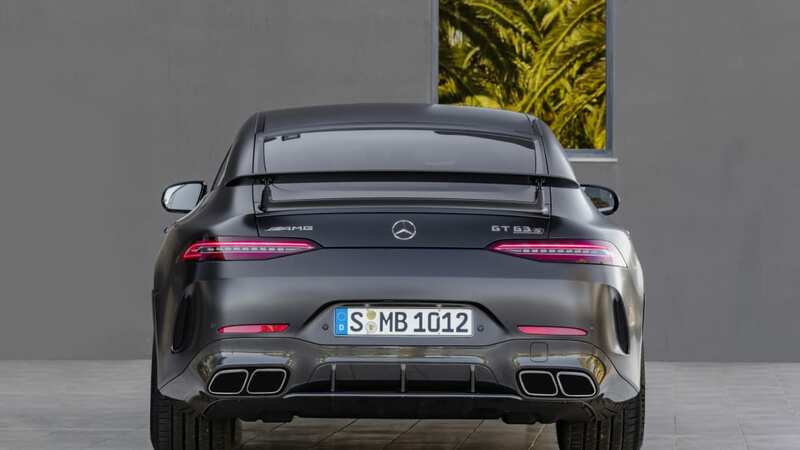 The AMG GT's fenders and bumpers bulge out much more than the comparatively taut and lean CLS. 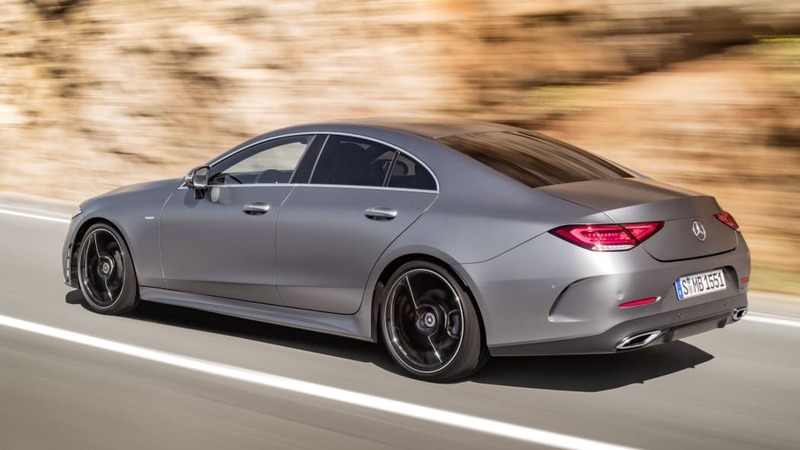 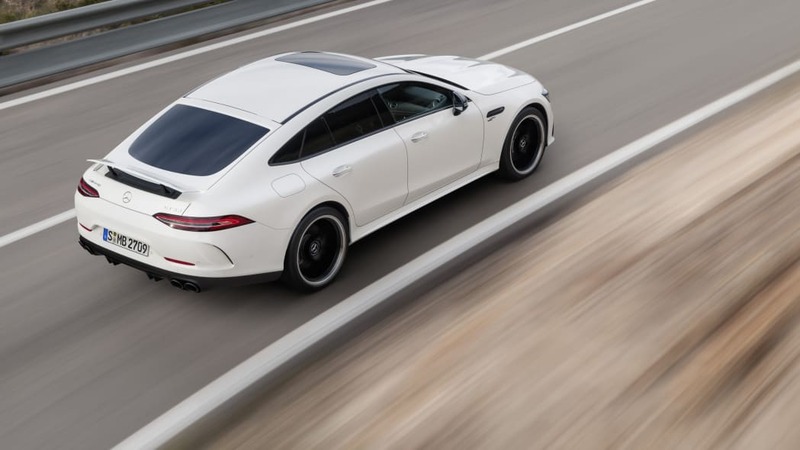 And of course, the AMG GT is a hatchback, whereas the CLS is a conventional sedan. 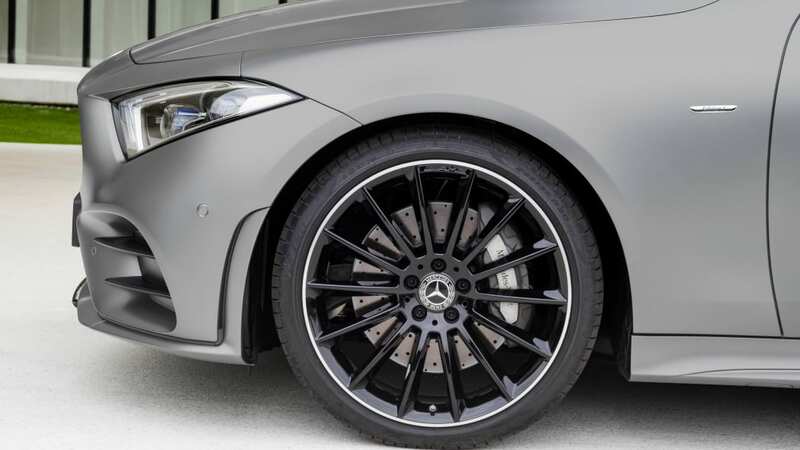 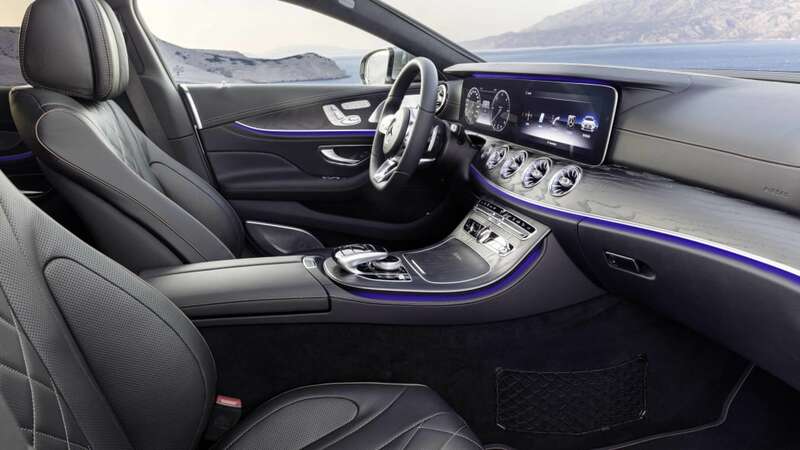 The other key aspect to these cars is their performance, and this is the area that the two Mercs differ the most. 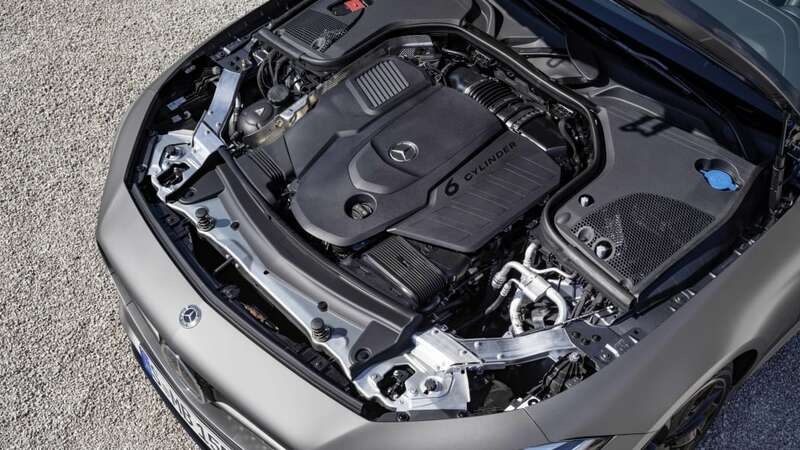 The CLS-Class is offered with two engines, both of which are 3.0-liter turbocharged inline six-cylinders with a 48-volt electrical assist. 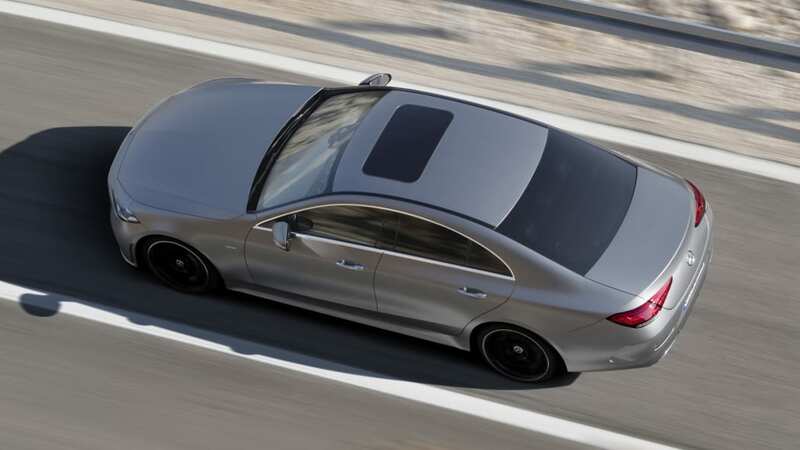 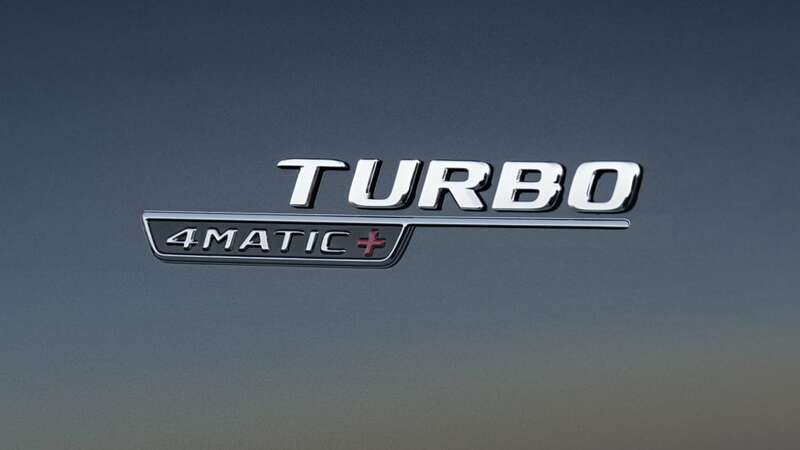 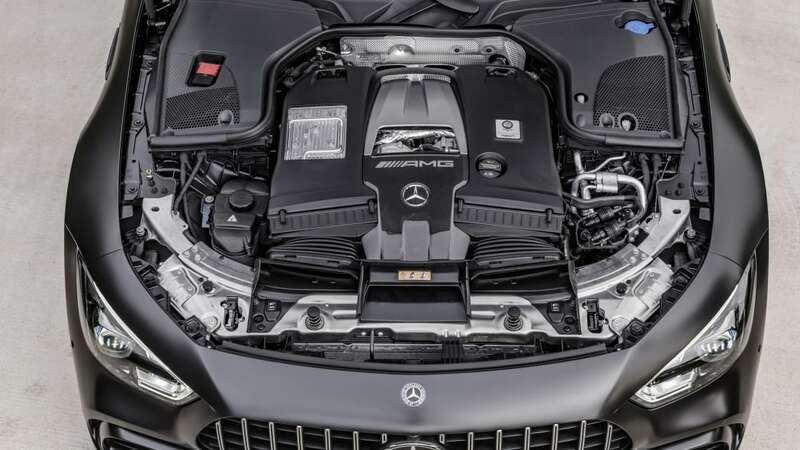 The basic engine found in the CLS 450 makes 362 horsepower and 369 pound-feet of torque. 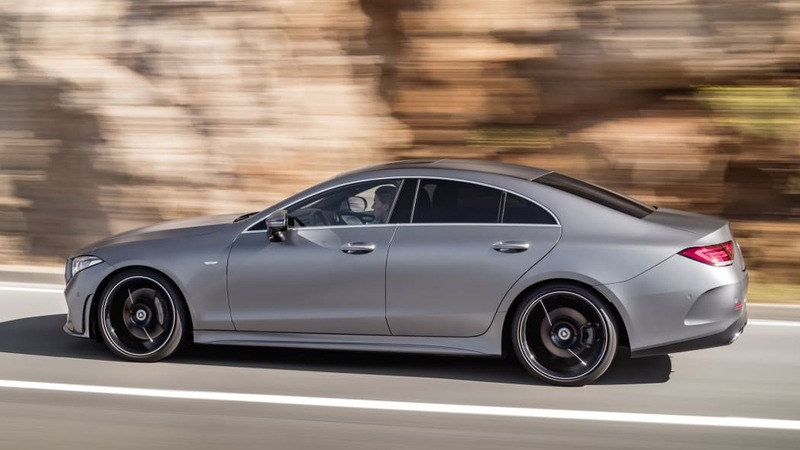 Moving up to the CLS 53 brings the output to 429 hp and 384 lb-ft of torque. 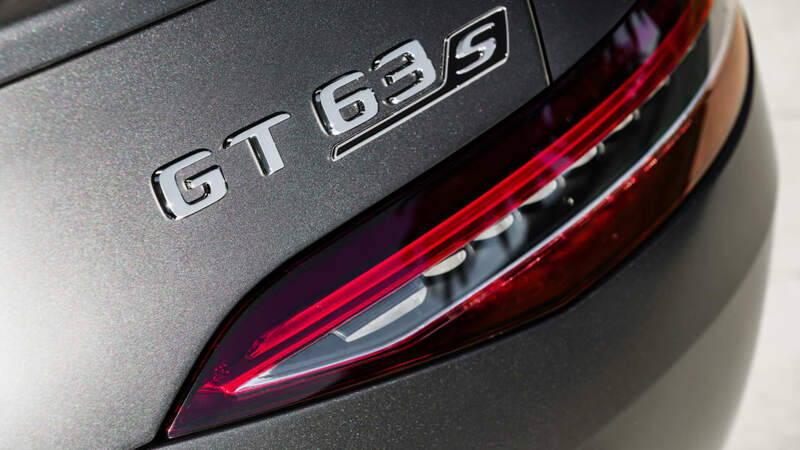 Those are respectable numbers, which probably explains why the AMG GT essentially starts where the CLS leaves off. 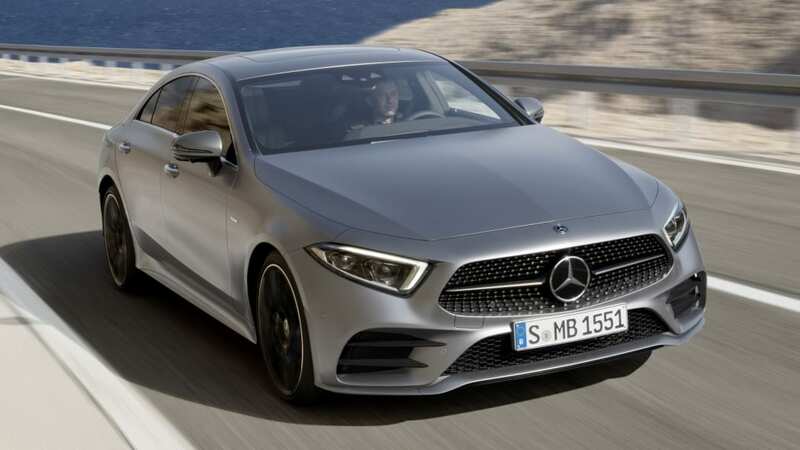 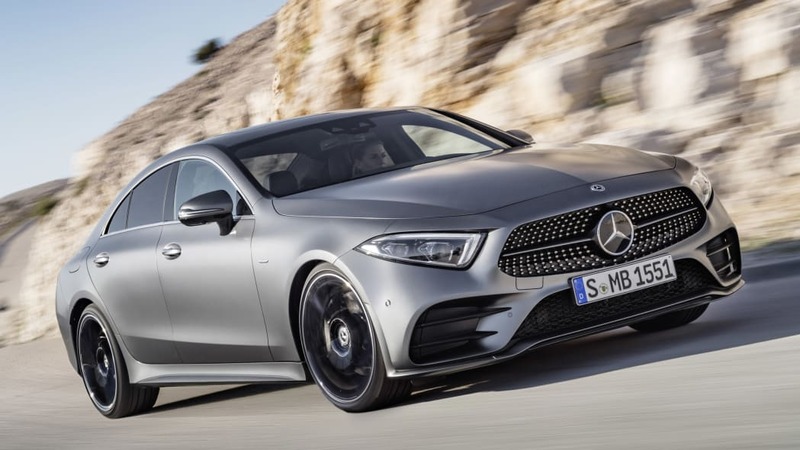 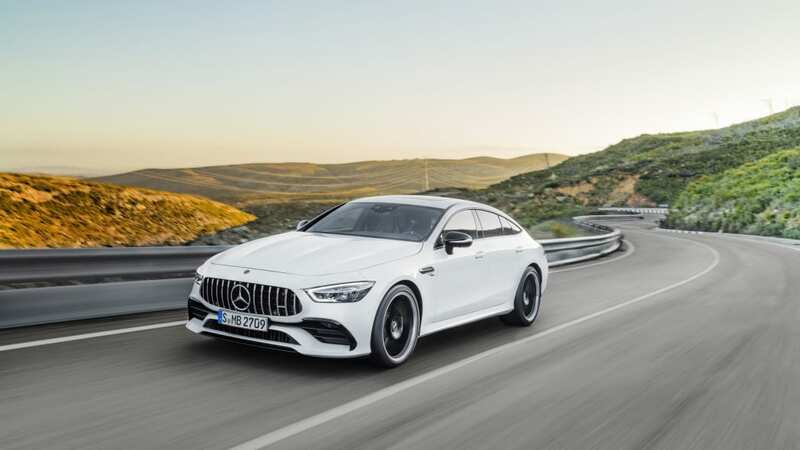 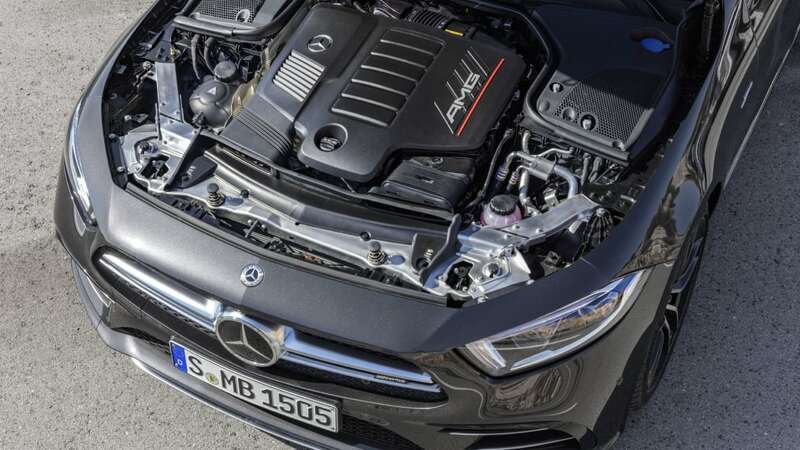 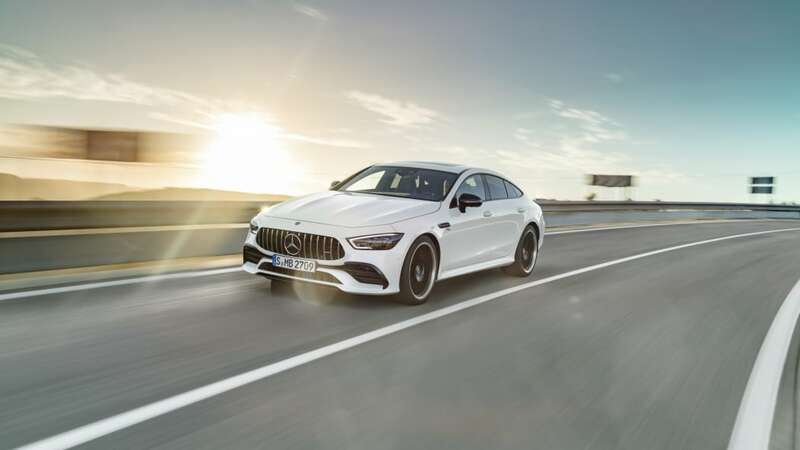 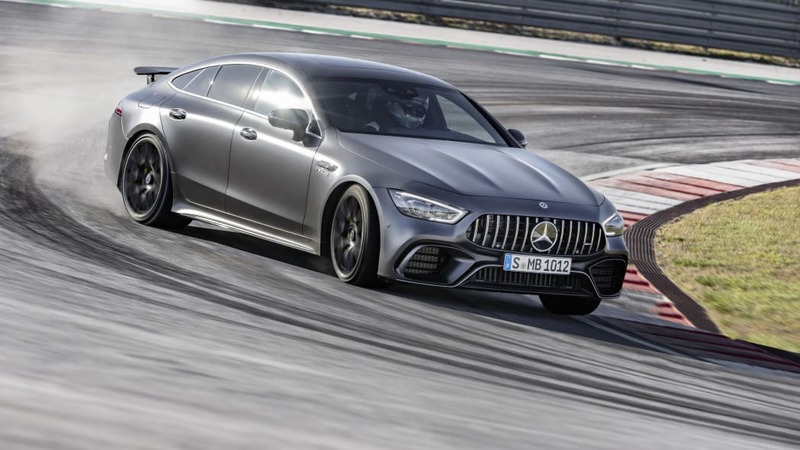 The entry-level AMG GT 53 uses that exact same engine as in the CLS 53. 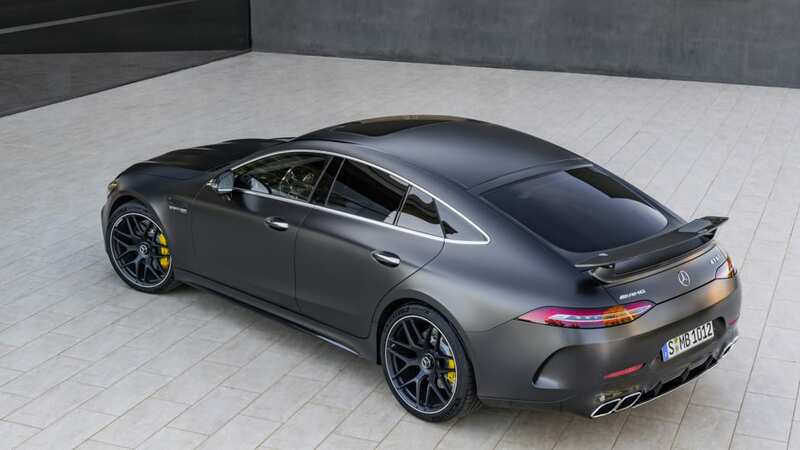 It even has the same 0-60 mph time of 4.4 seconds. 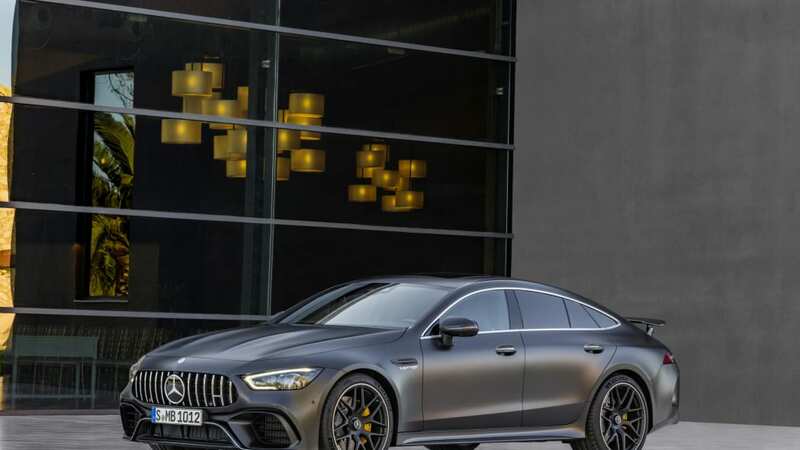 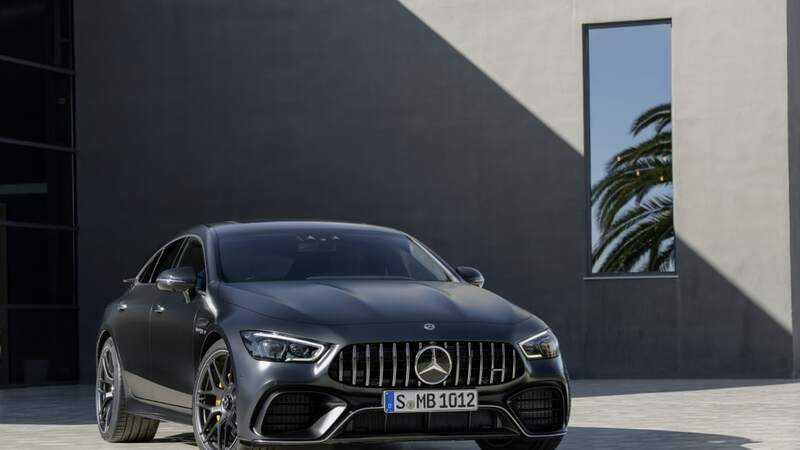 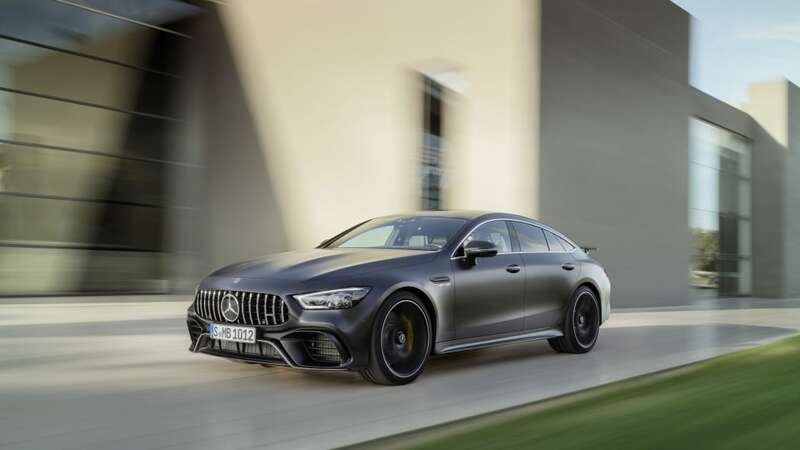 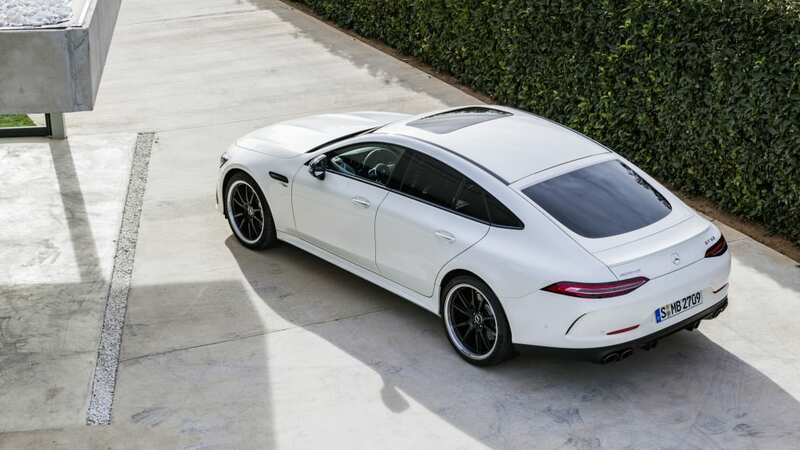 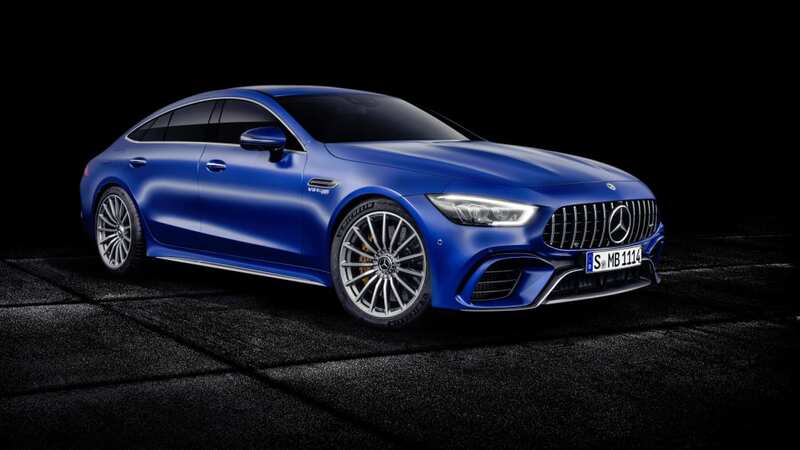 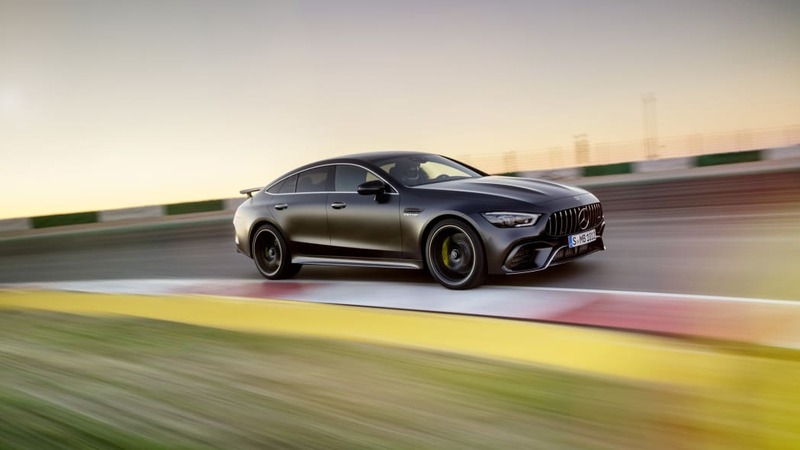 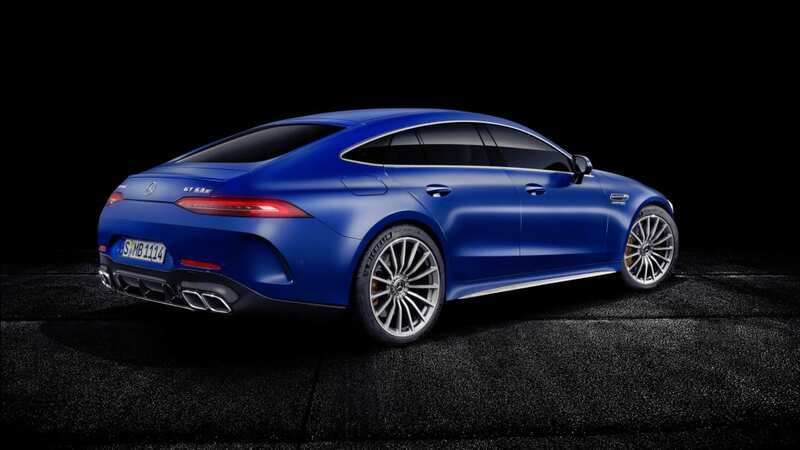 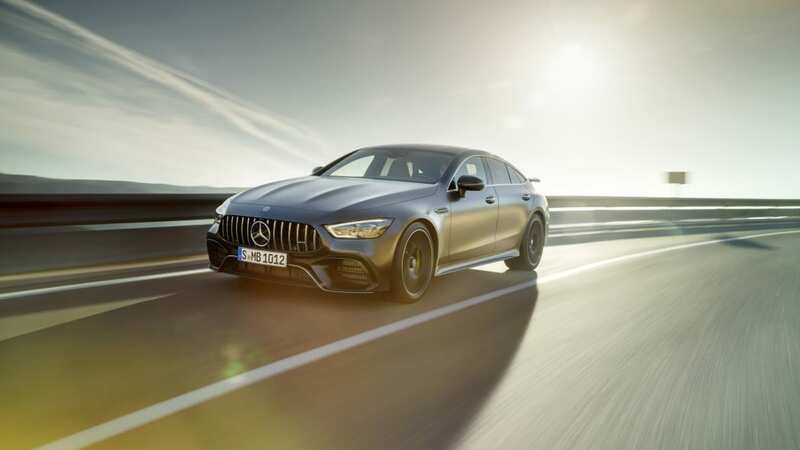 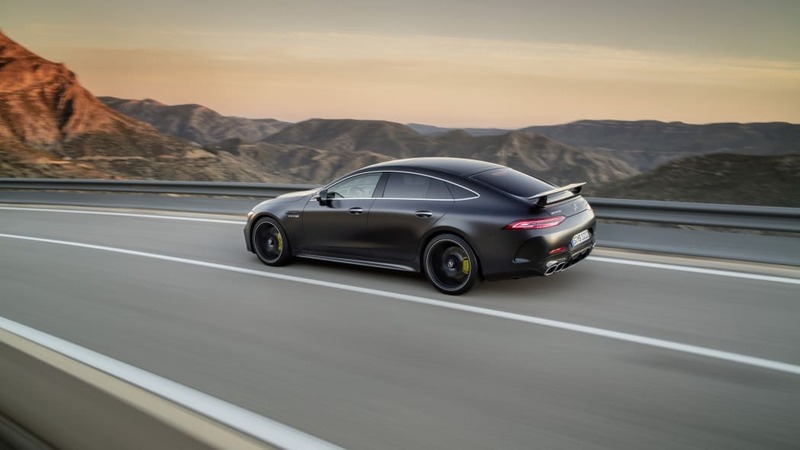 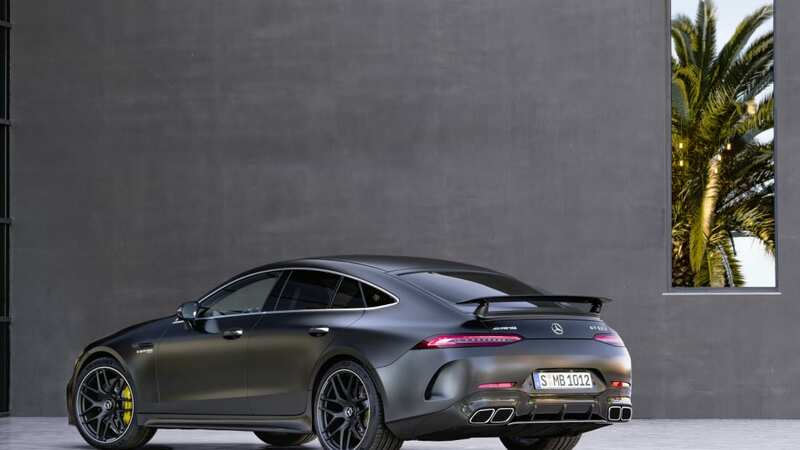 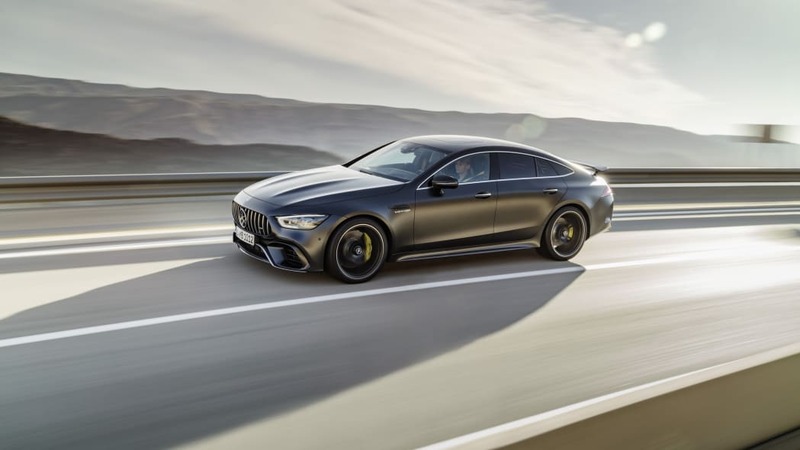 The AMG GT 63, though, swaps the six for a 4.0-liter twin-turbo V8 making 577 hp and 533 lb-ft of torque. 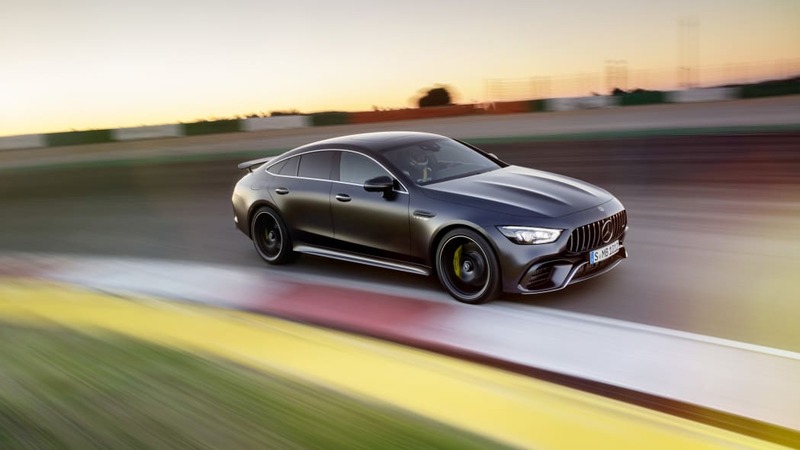 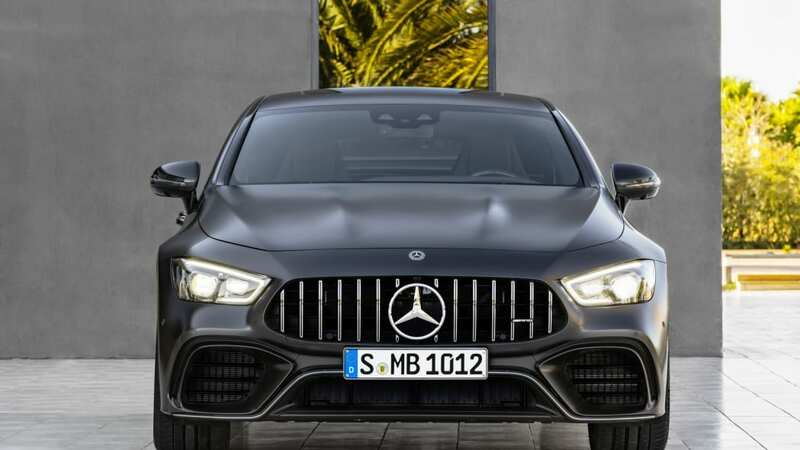 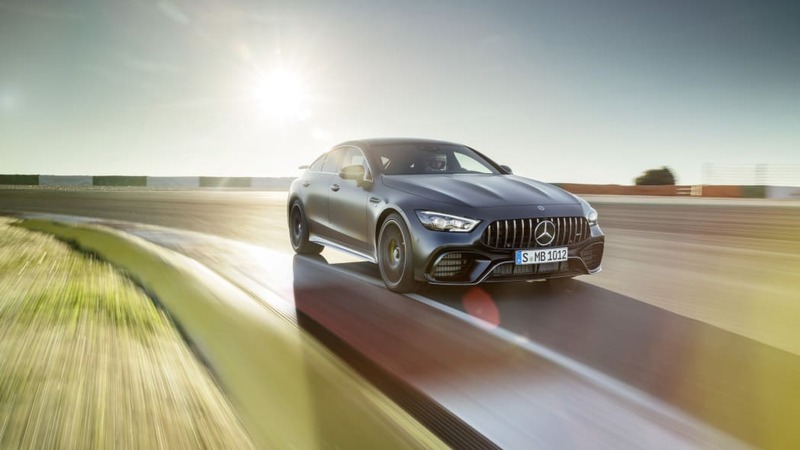 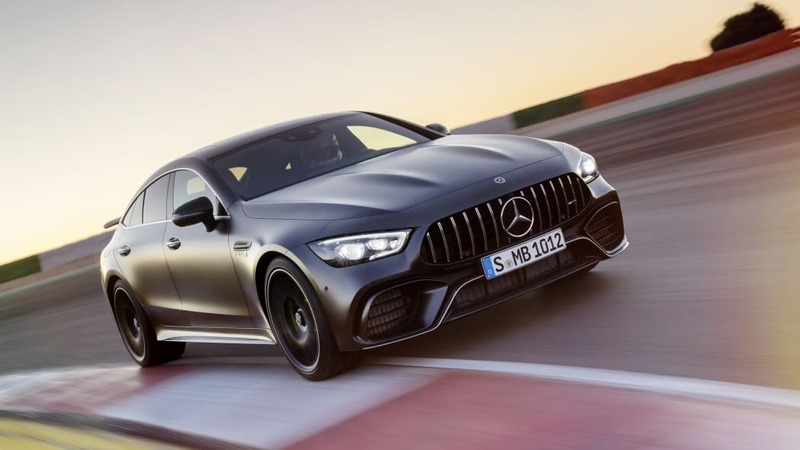 That's actually the same amount of power and slightly more torque than the Green Hell-beast, the AMG GT R. The AMG GT S four-door takes things up to 11, or maybe 12, with 630 horsepower and 627 pound-feet of torque from a tuned-up version of that V8. 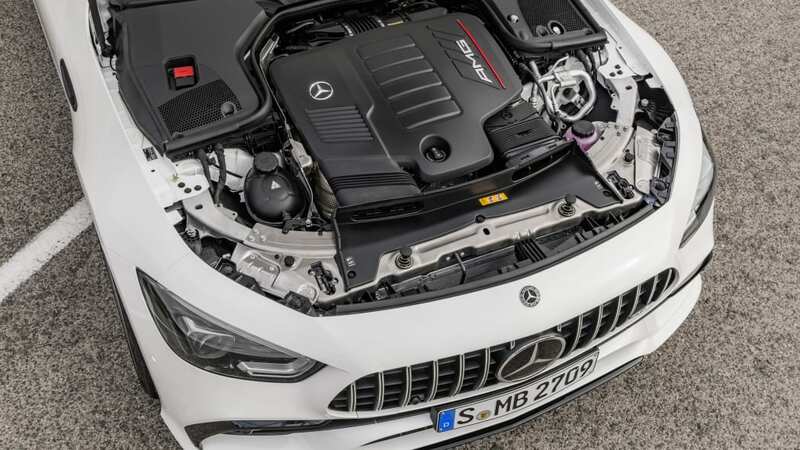 In addition to power superiority, the AMG GT has a few other available performance cards to play. 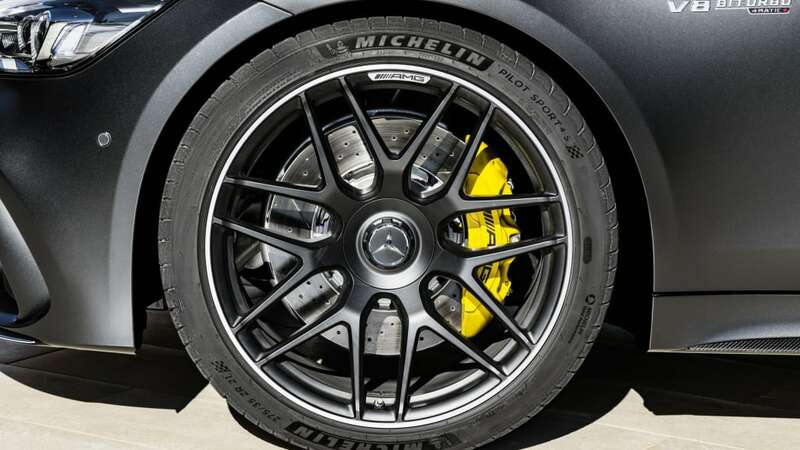 There's an available electronically controlled limited-slip differential for the rear axle. 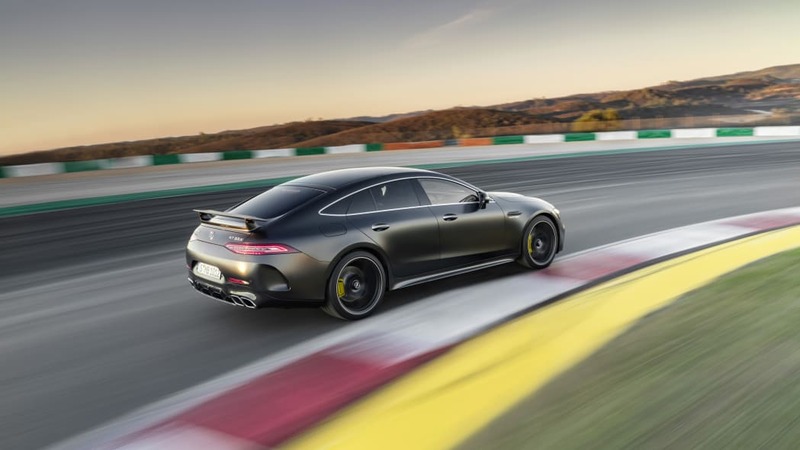 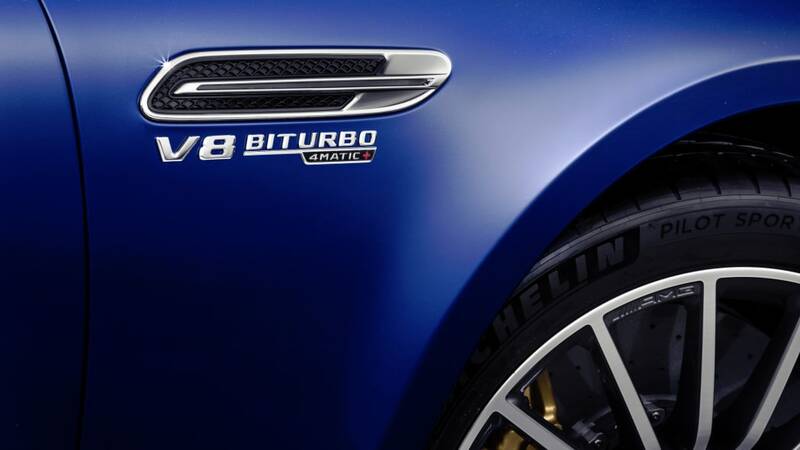 There's even electronic rear-wheel steering available, similar to that of the two-door AMG GT. 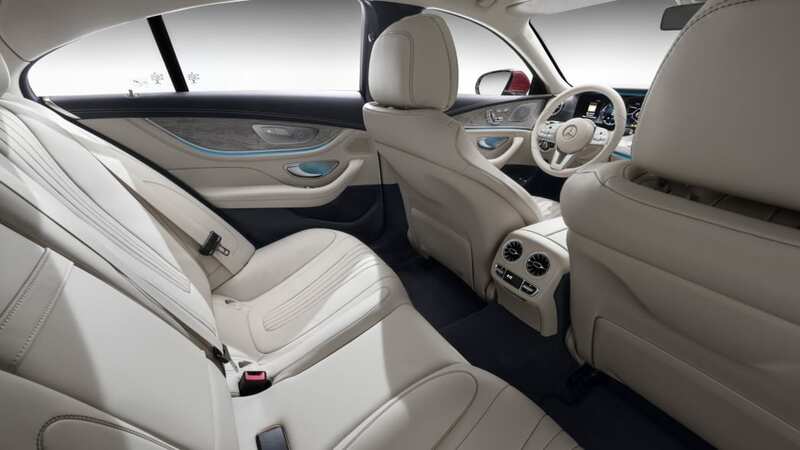 We now move from the most differentiated parts of these cars, to the least differentiated: the interiors. 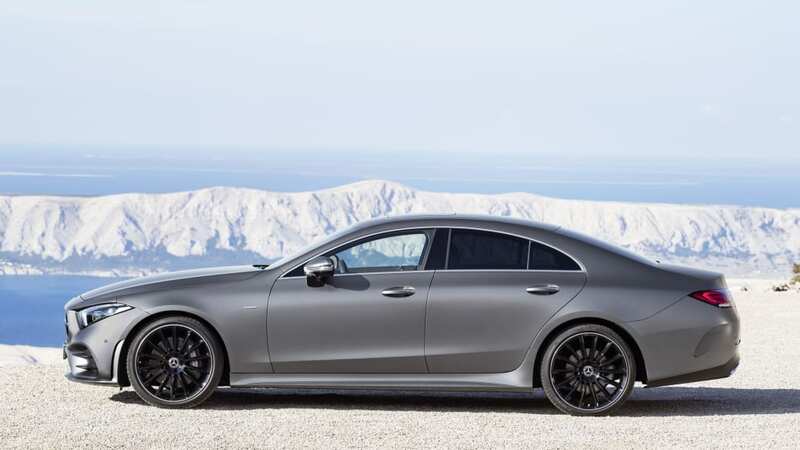 Seriously, the cabin designs of these two four-doors are nearly identical. 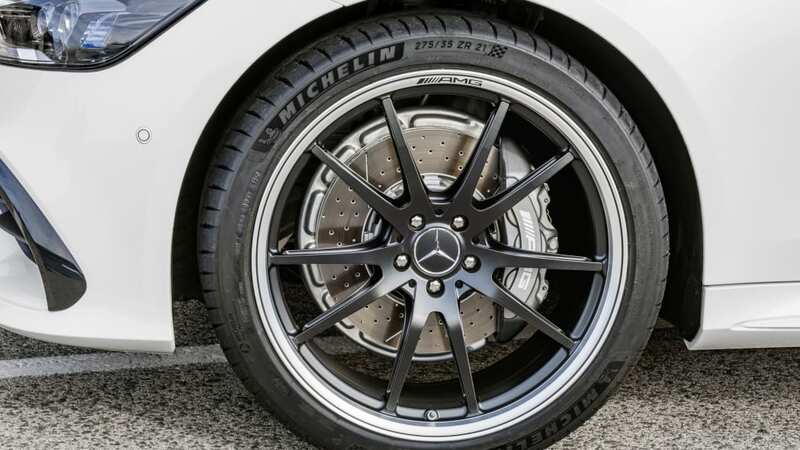 Have a look for yourself and see if you can pick which is which. 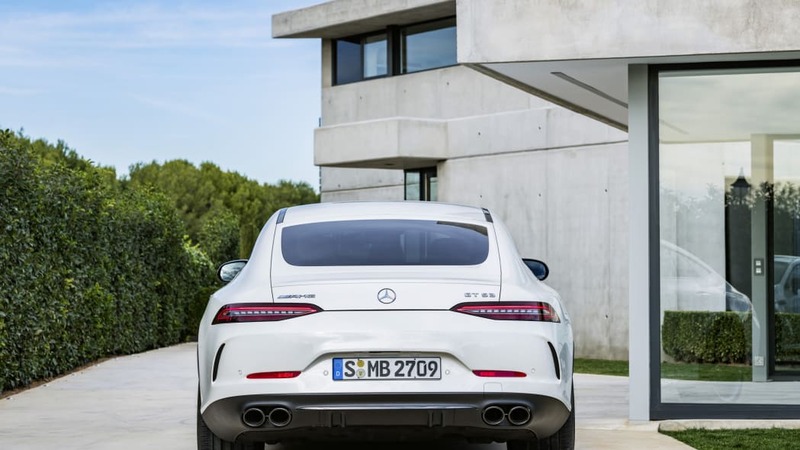 The top photo is the CLS, the bottom is the AMG GT. 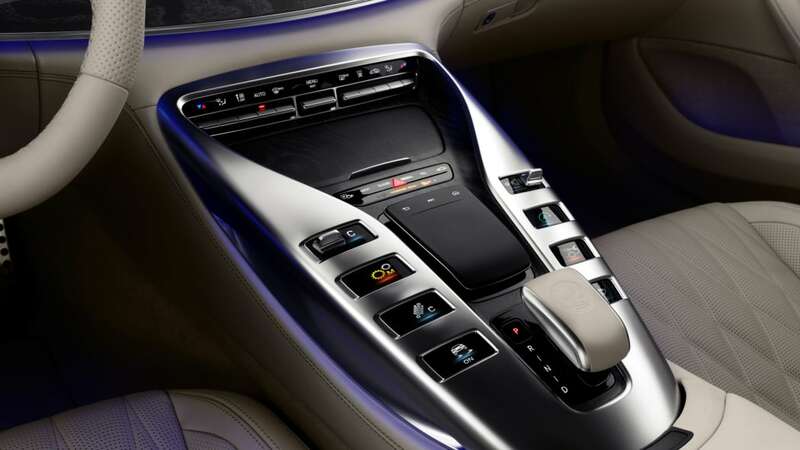 The key difference is the center console. 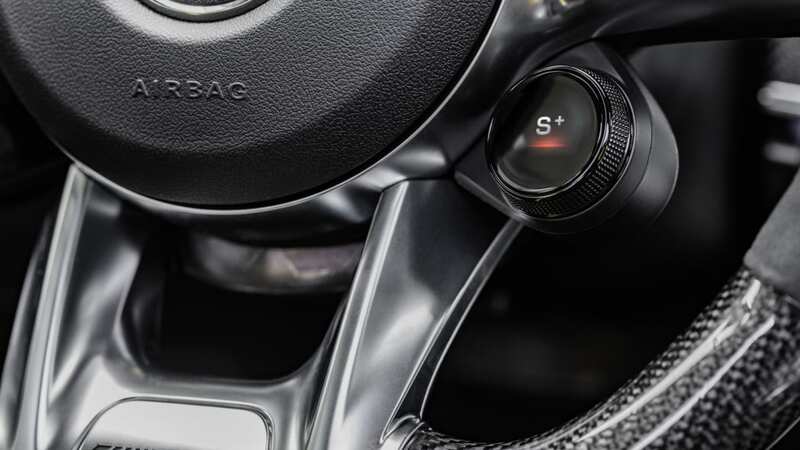 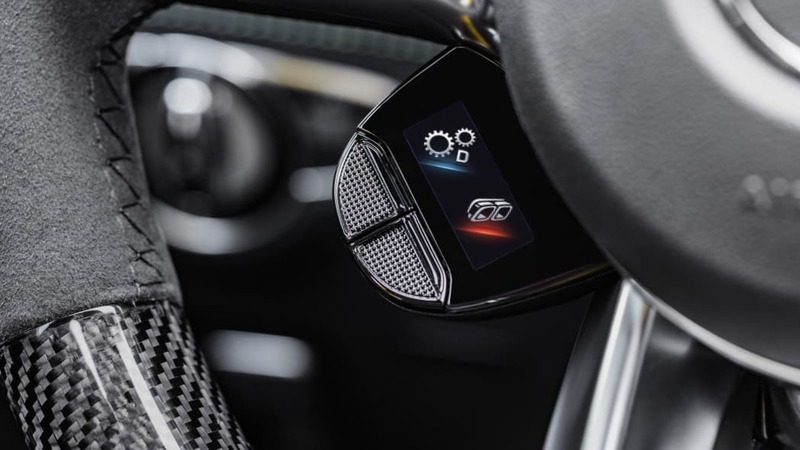 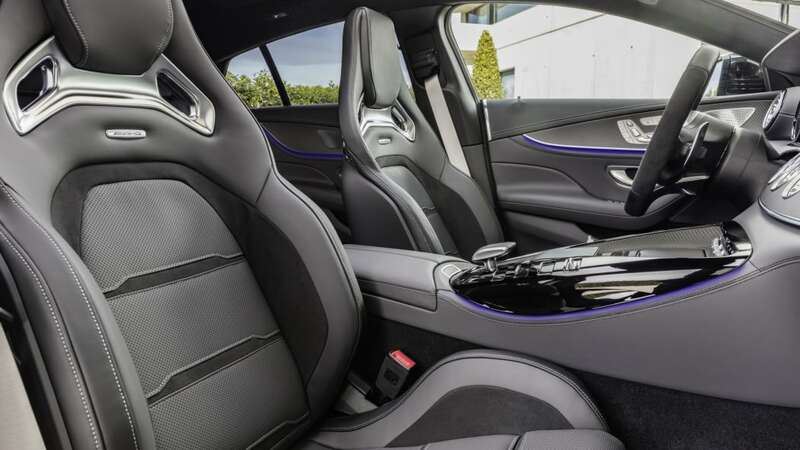 It's a little longer, taller and flatter in the AMG GT, loses the analog clock, and has a shifter with the AMG medallion embossed in the center. 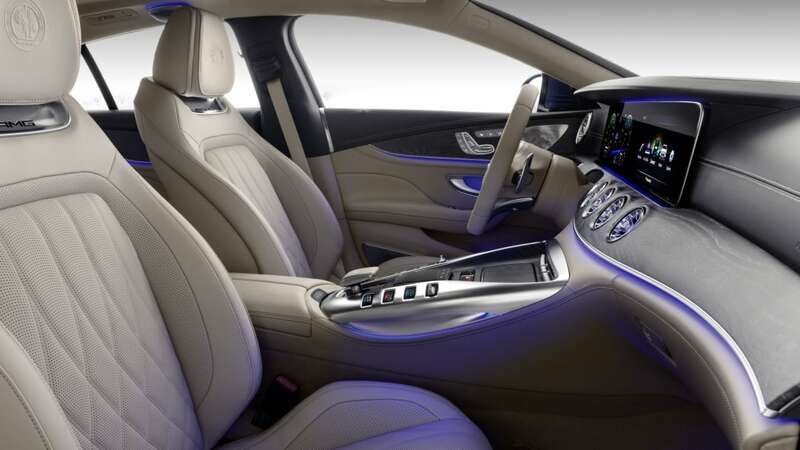 The CLS's shorter console makes more room for a storage bin, and features only the infotainment controls between the seats, leaving the shifter on the steering column. 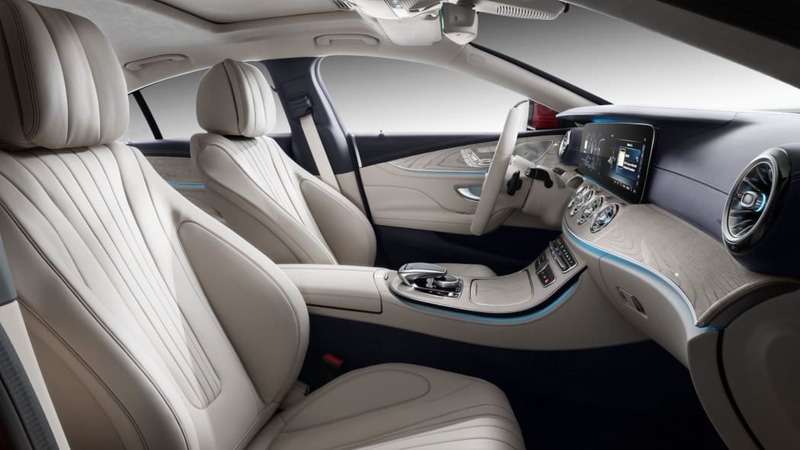 Otherwise, the two cars use basically the same steering wheels, vents, screens, speakers, trim and lighting. 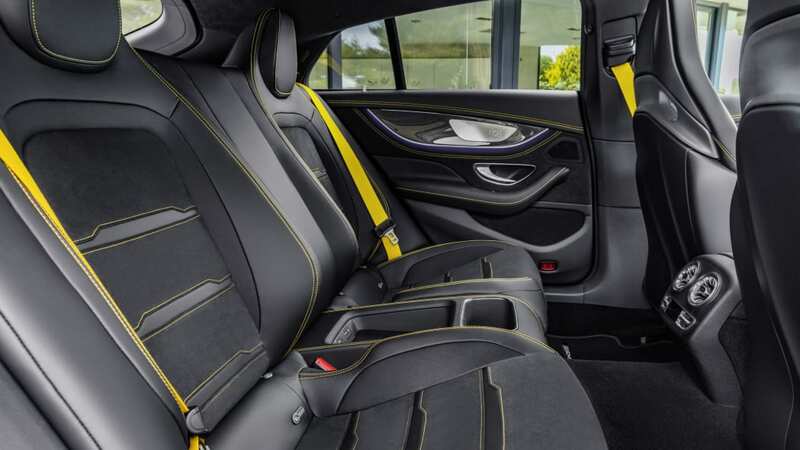 One other difference is that the AMG GT is available with two different rear seating configurations. 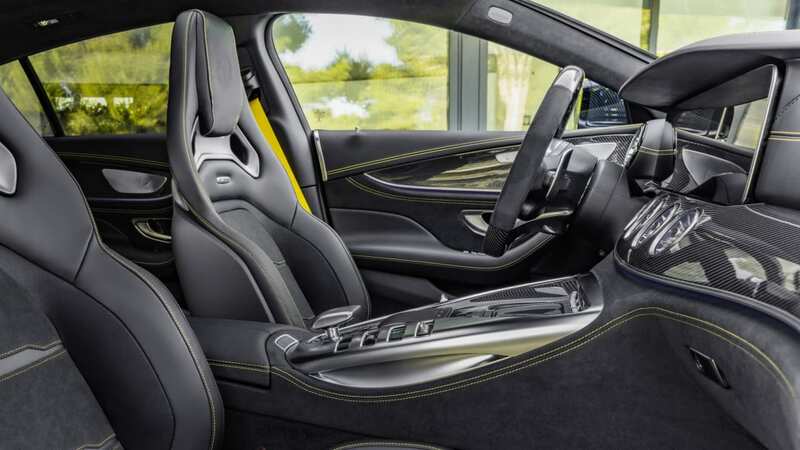 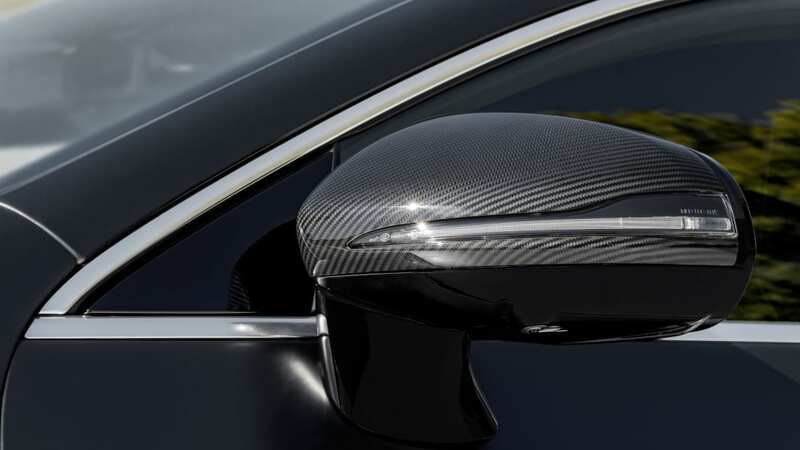 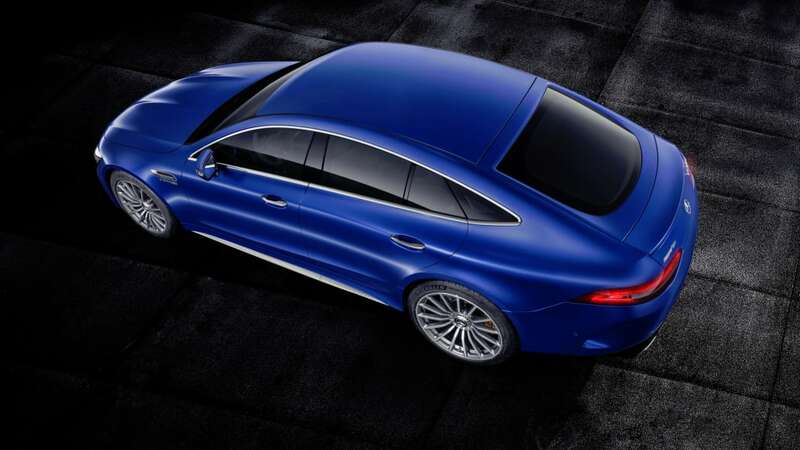 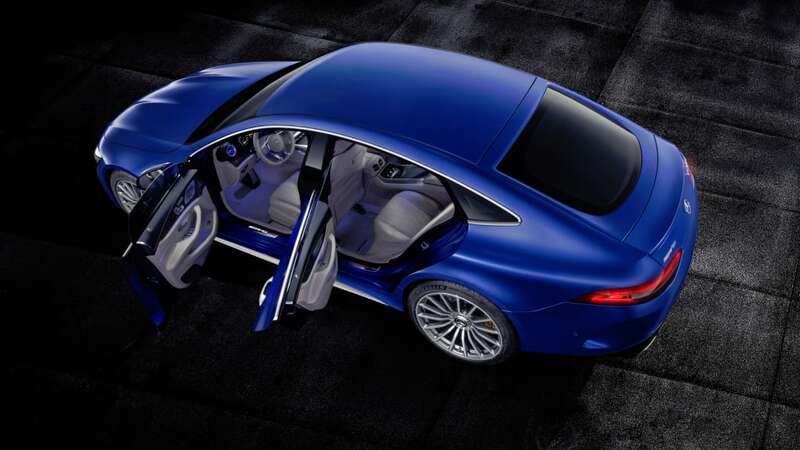 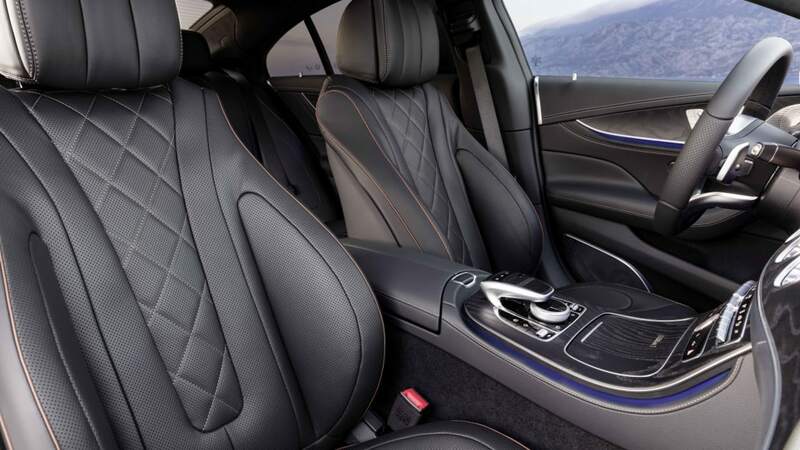 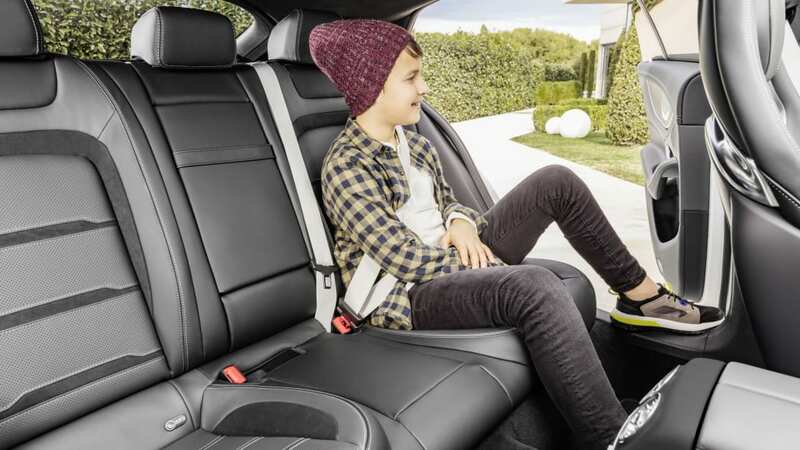 It can have either a three-seat bench, or two individual rear seats with carbon fiber backs. 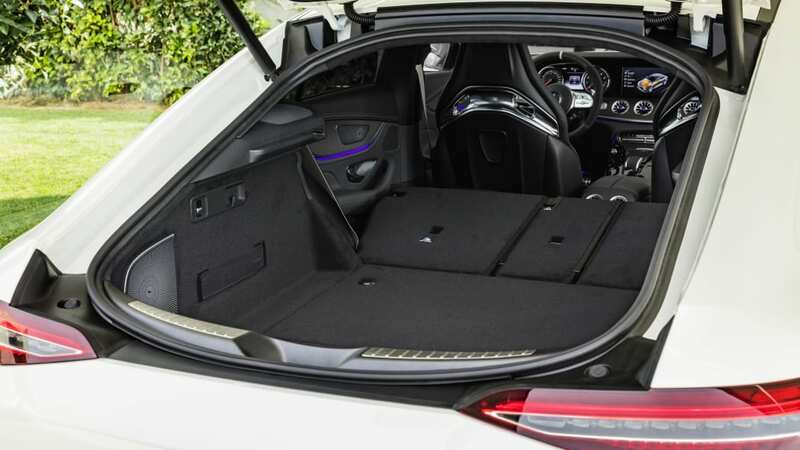 The CLS makes do with a rear bench seat only. 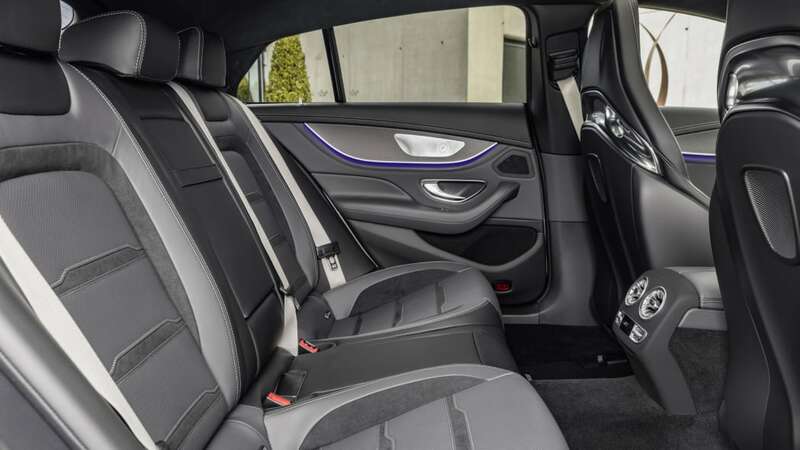 Now, what's the difference in space between those back seats? 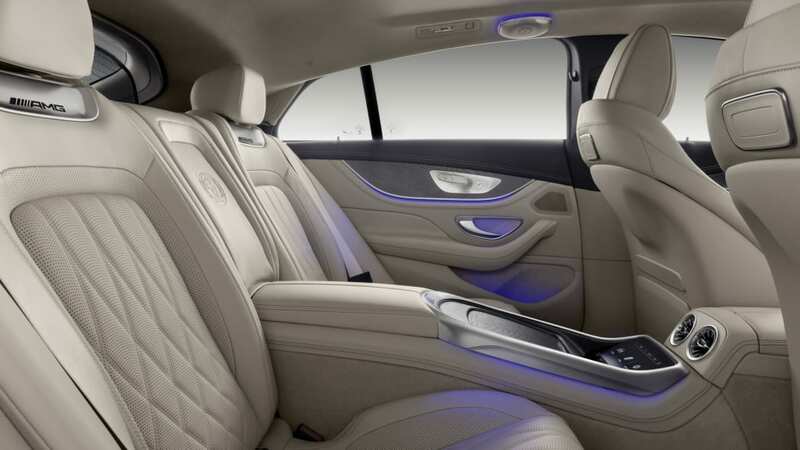 Without specs or our butts in their respective seats, we'll have to wait and see. 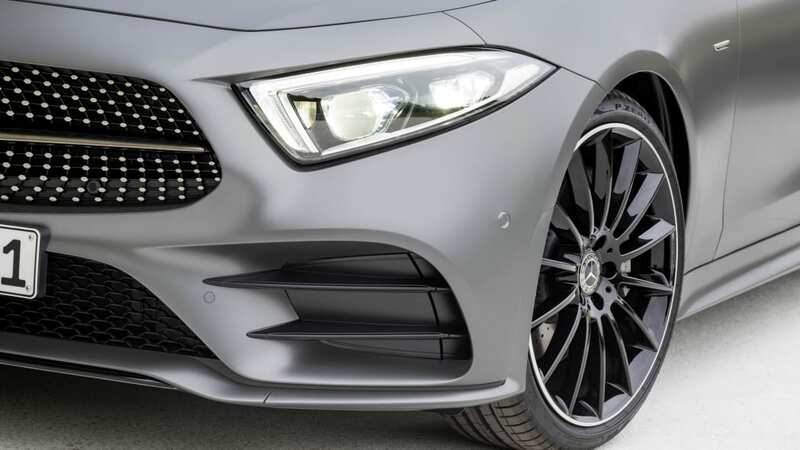 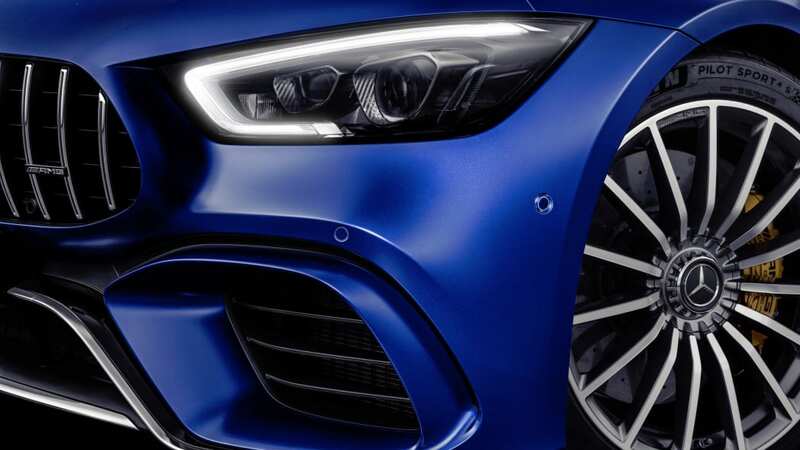 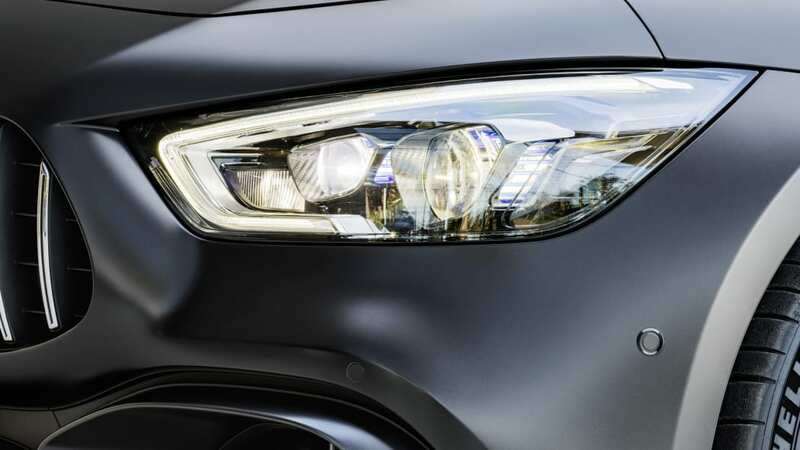 All things considered, while it seems a little odd that Mercedes offers two similar-looking and -sized cars, it becomes less strange when looking at the details. 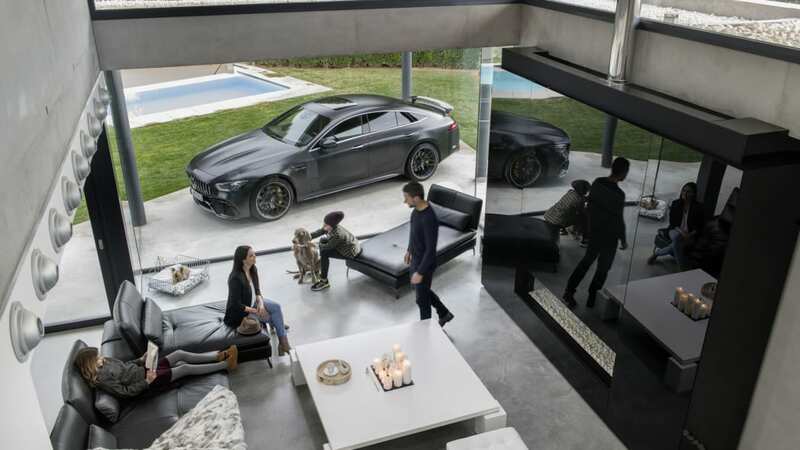 Each supplies low-slung coupe looks to different buyers. 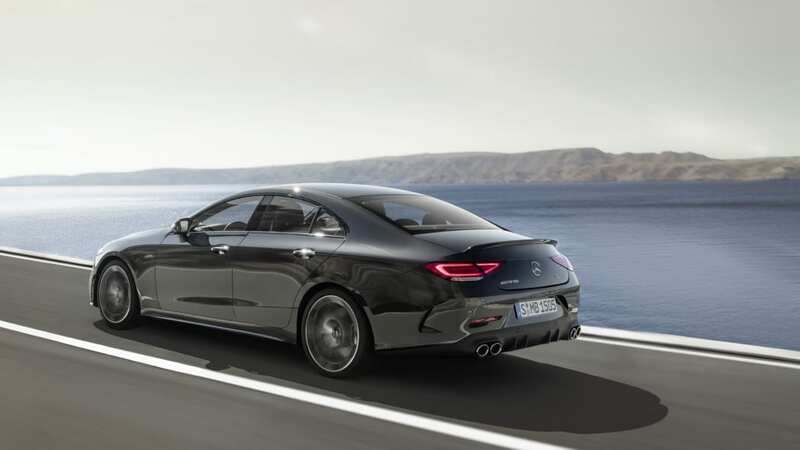 The CLS-Class is aimed at those that want style and great performance, but don't need to slay supercars on the weekend. 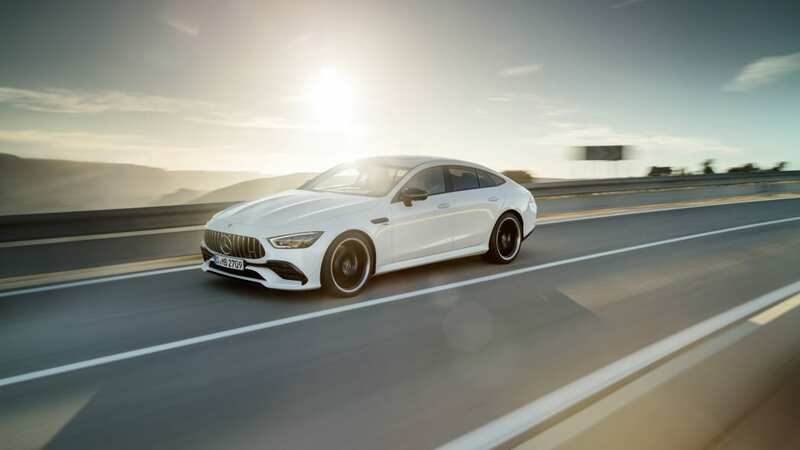 The AMG GT is for those that demand world-class performance, but need something more practical than the two-door AMG GT. 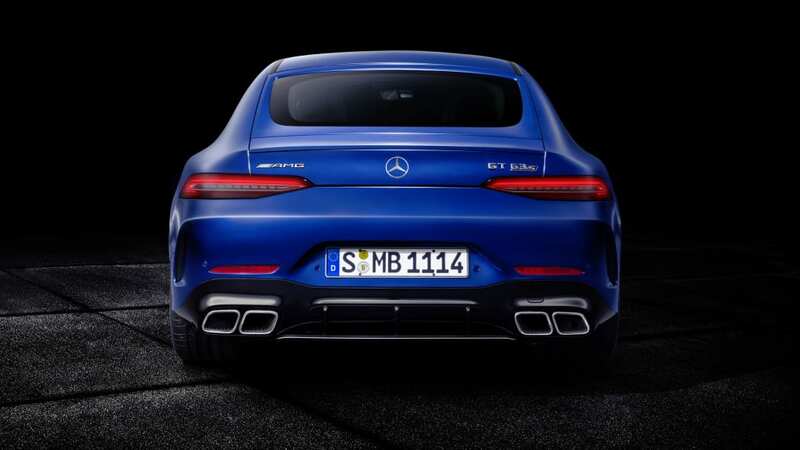 And when the AMG GT's pricing is released, that will undoubtedly separate the two even more.